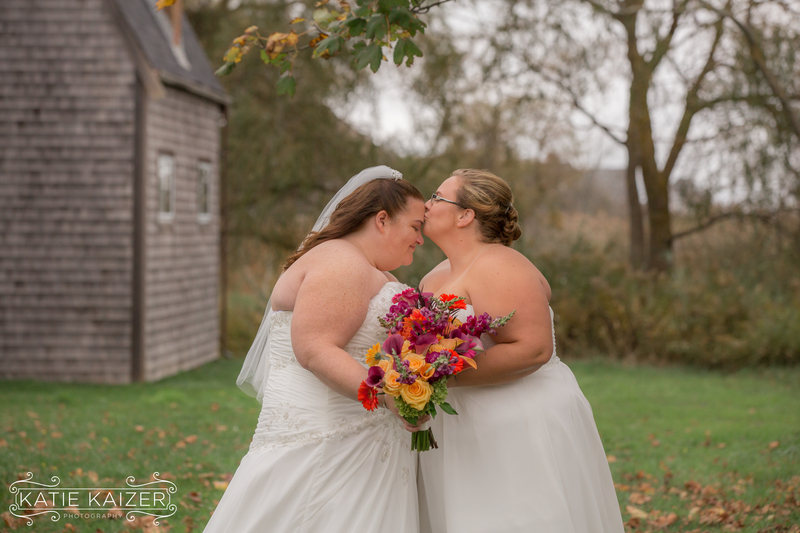 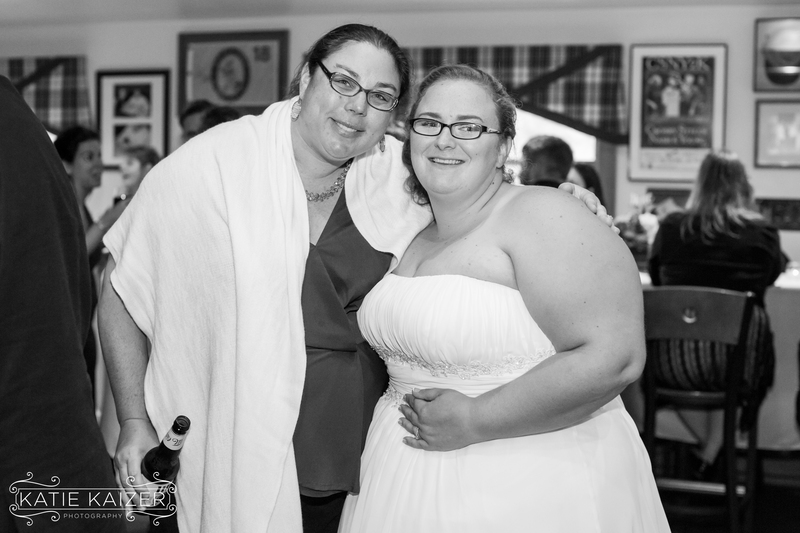 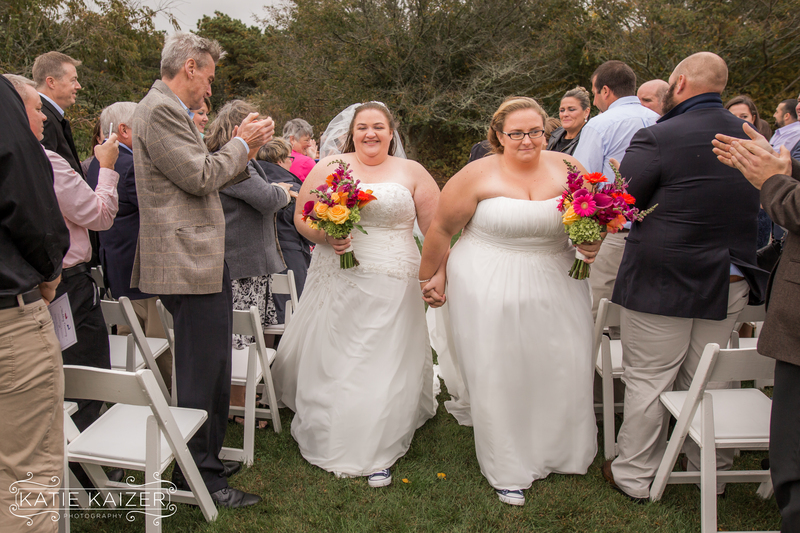 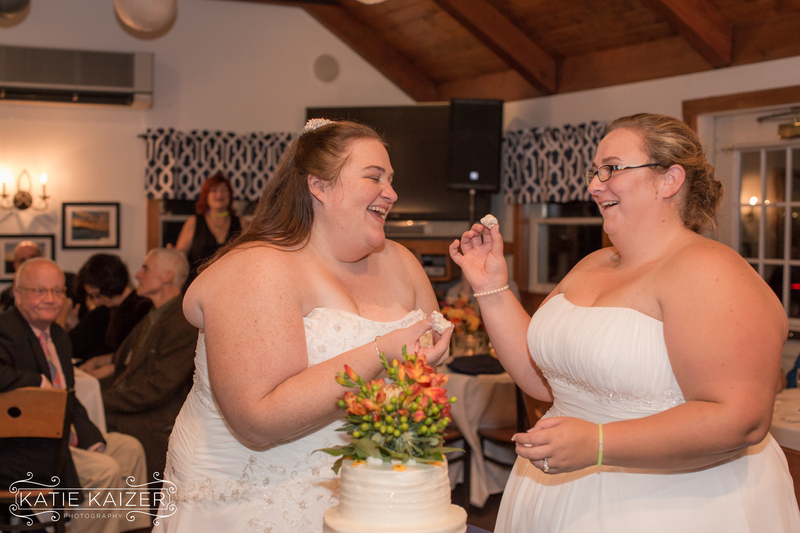 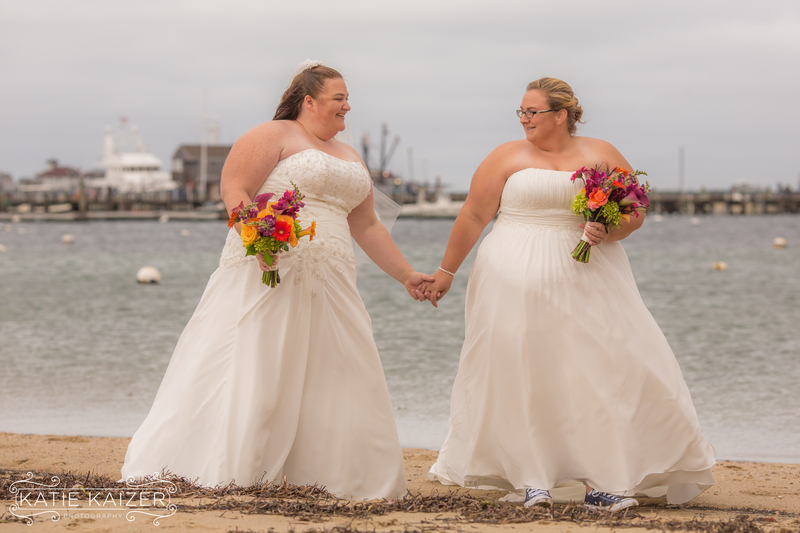 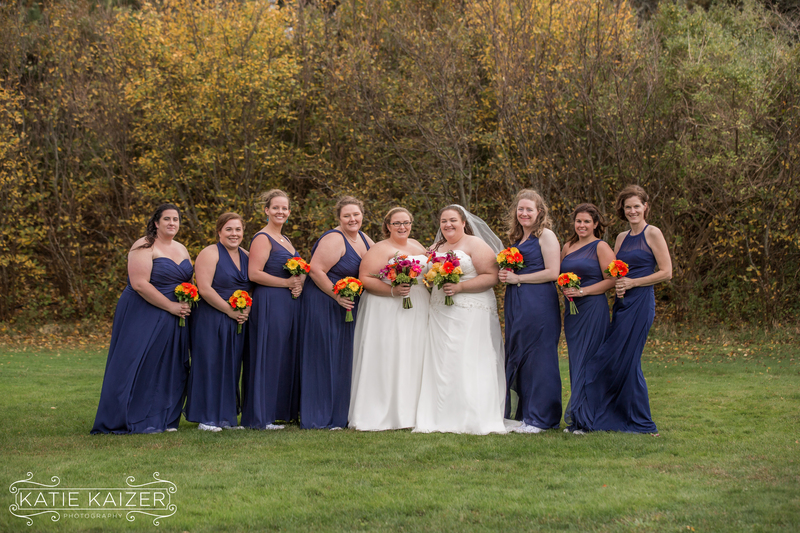 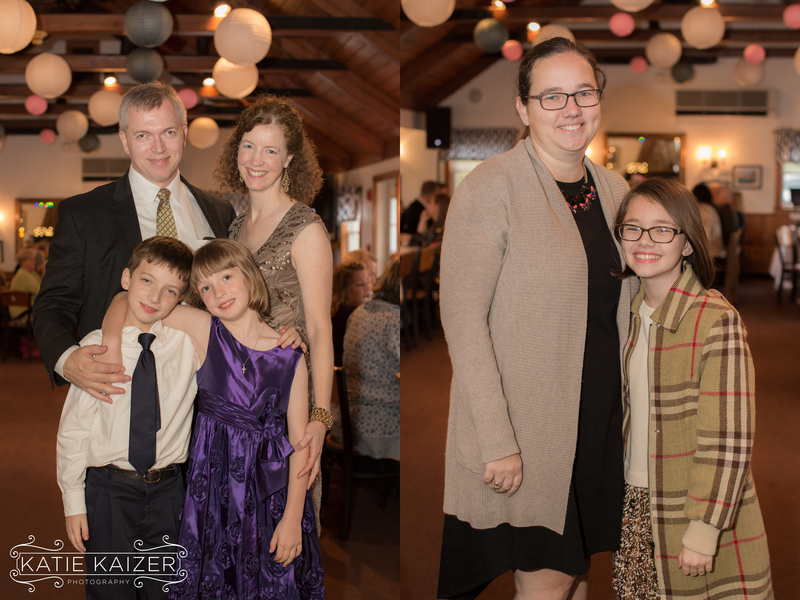 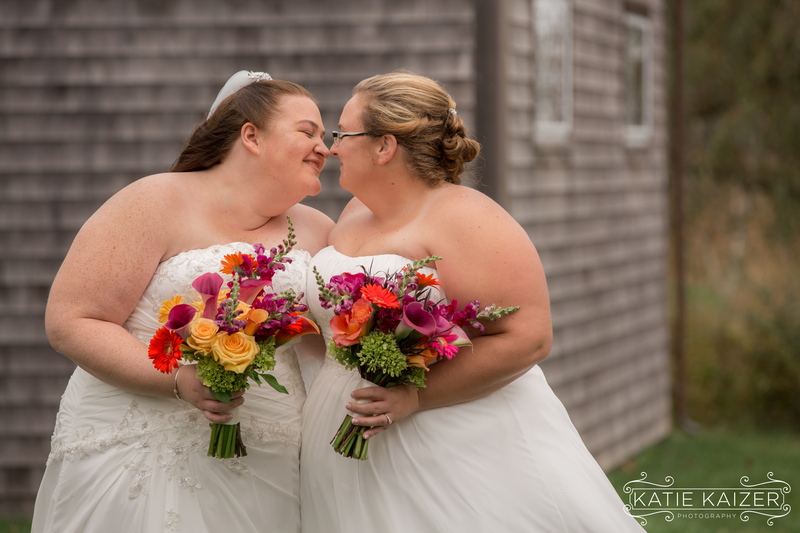 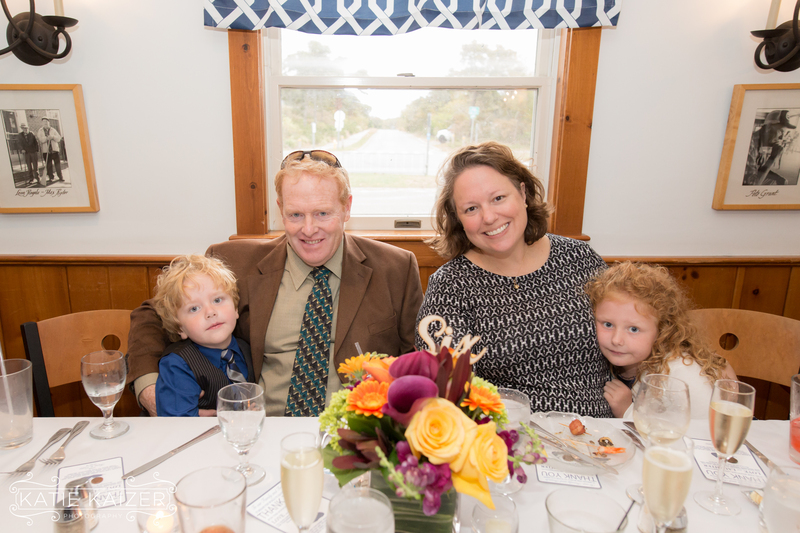 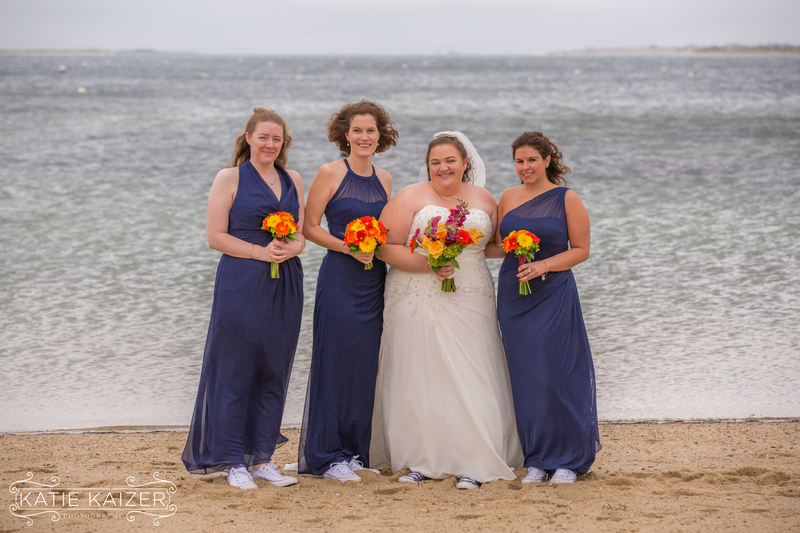 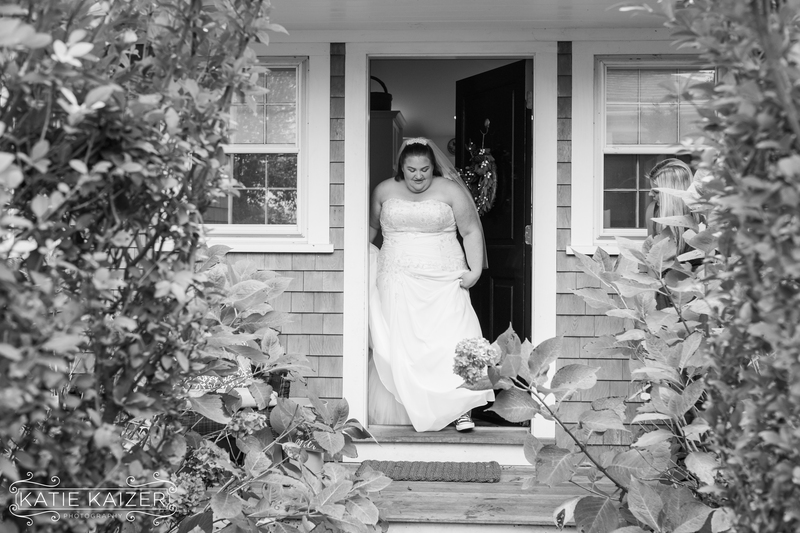 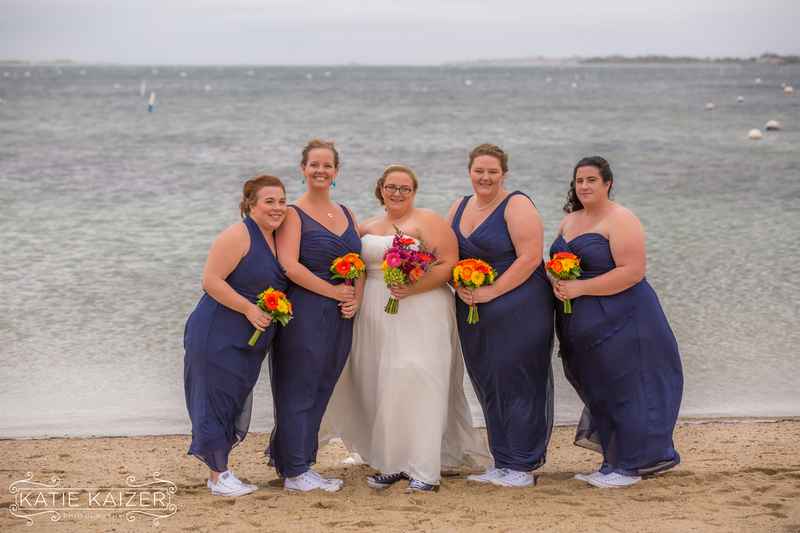 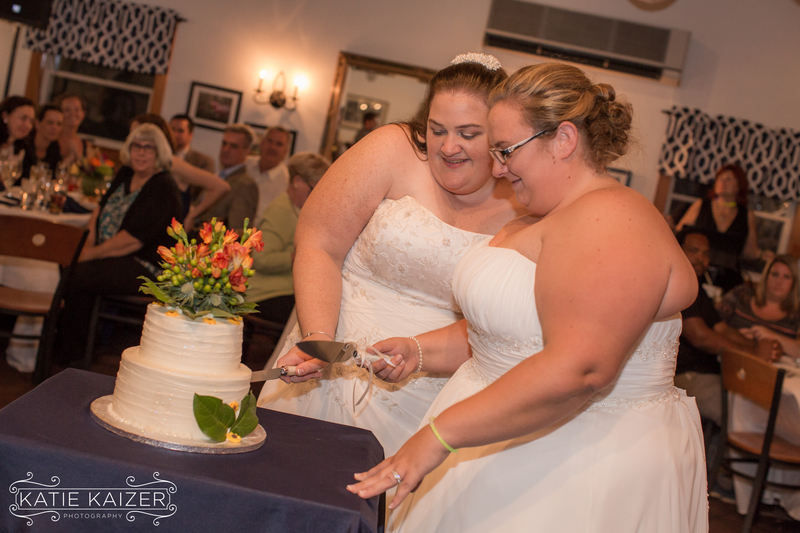 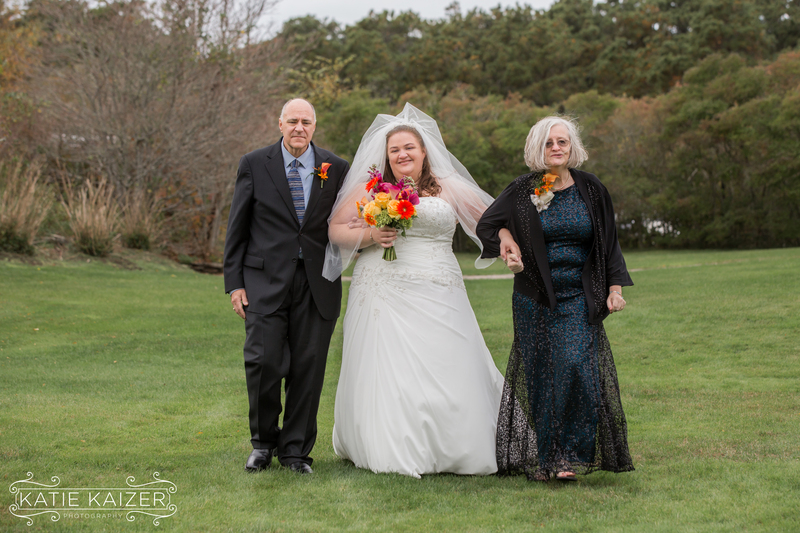 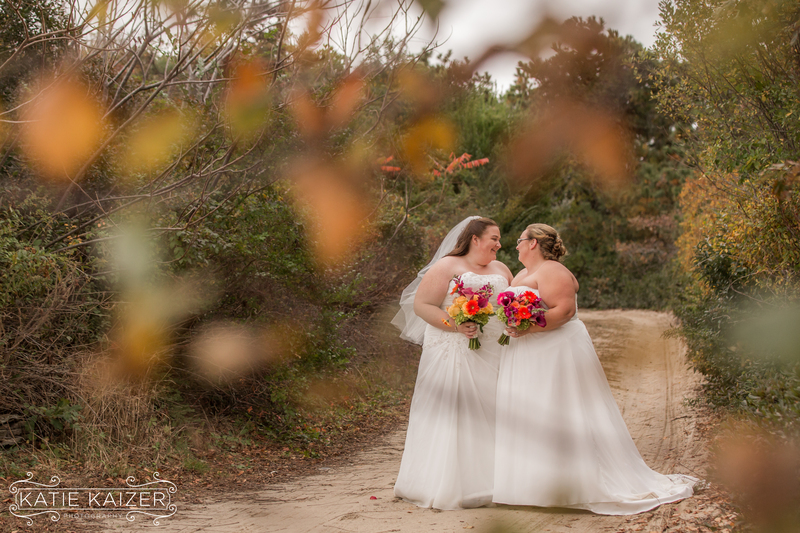 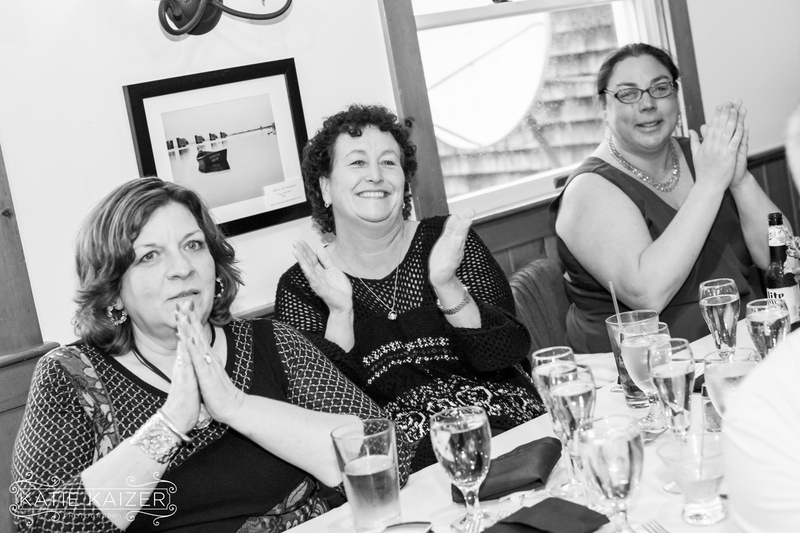 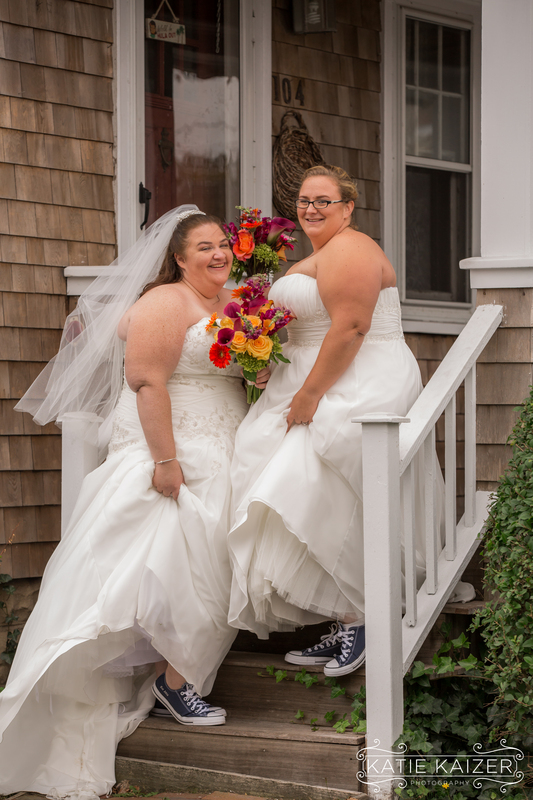 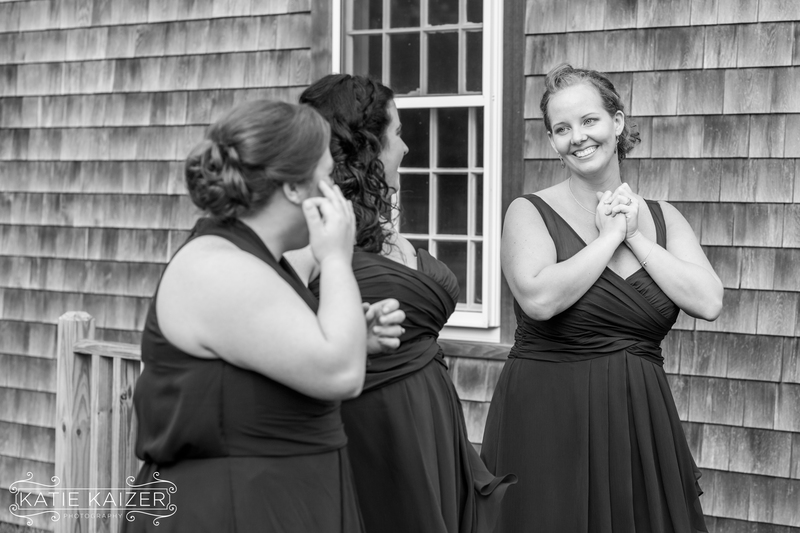 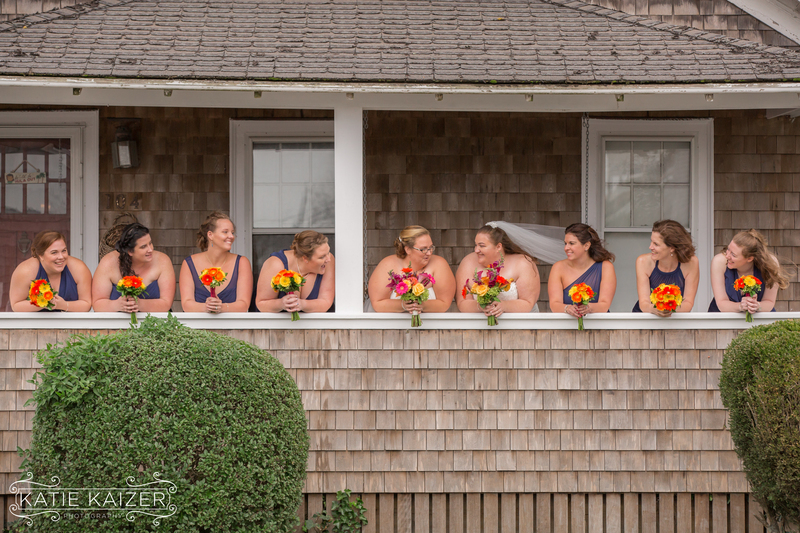 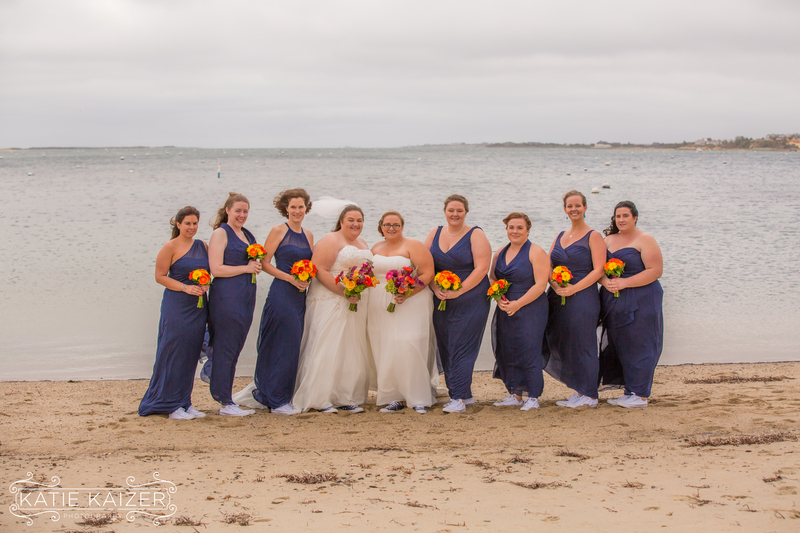 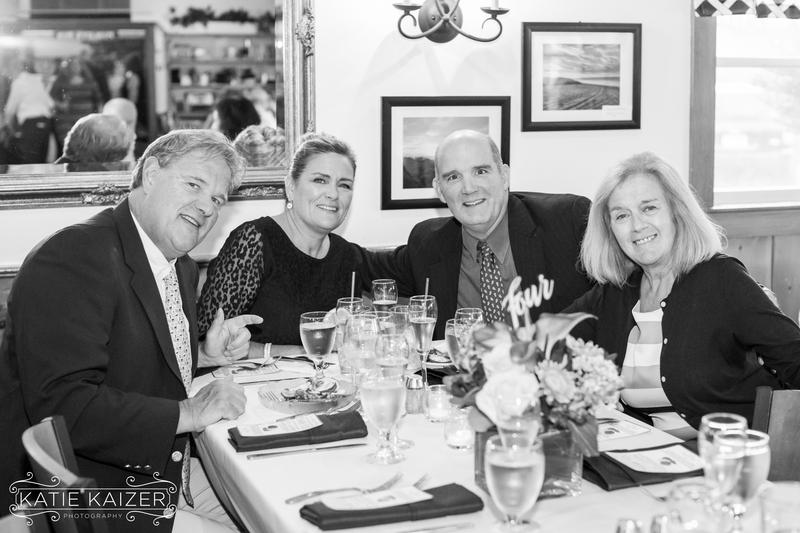 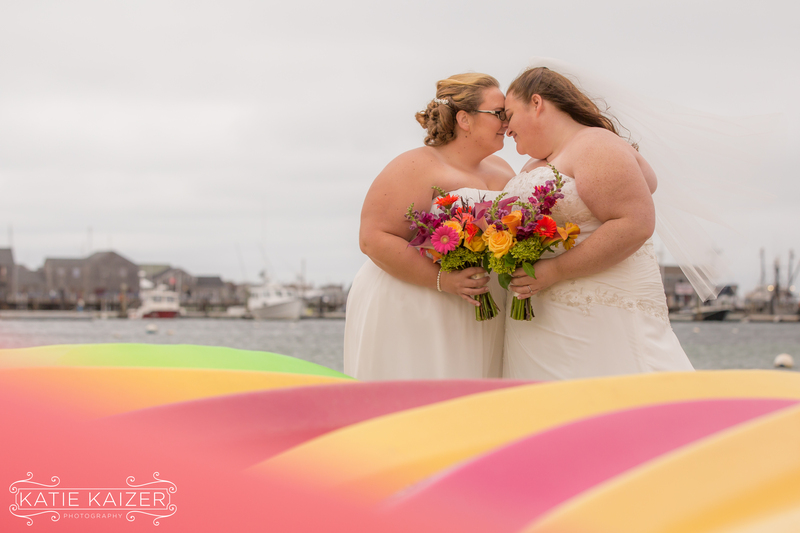 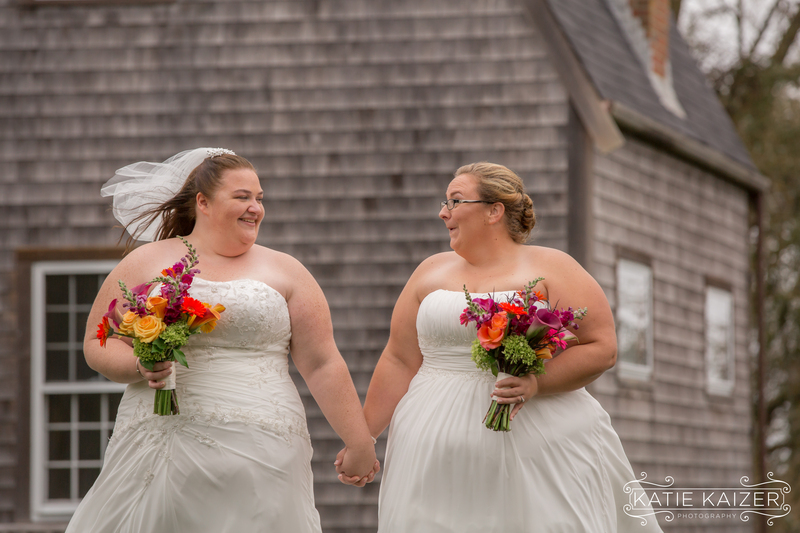 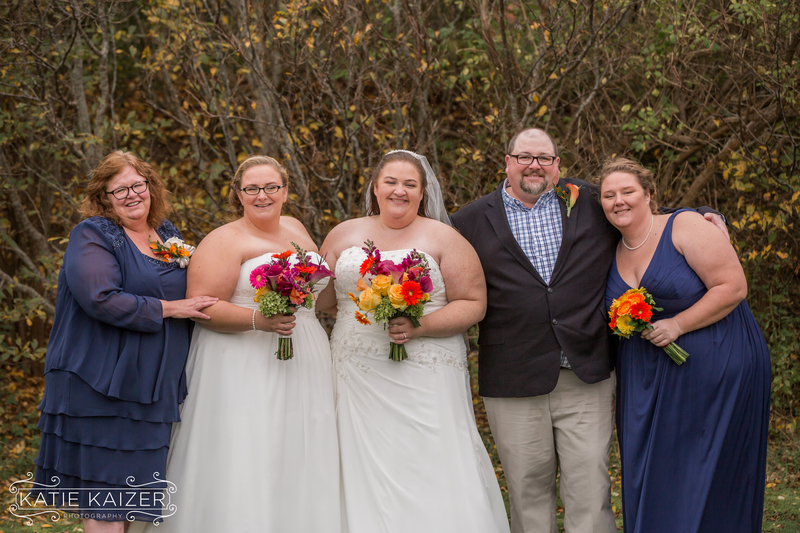 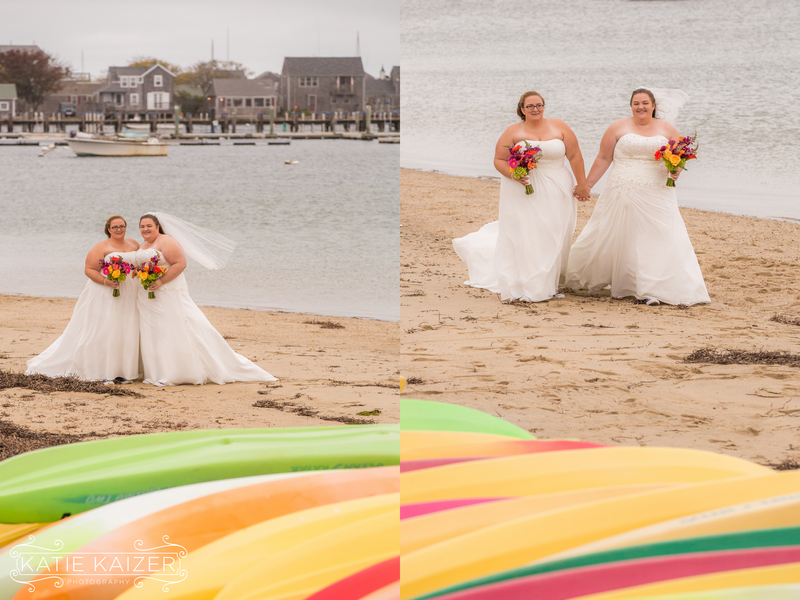 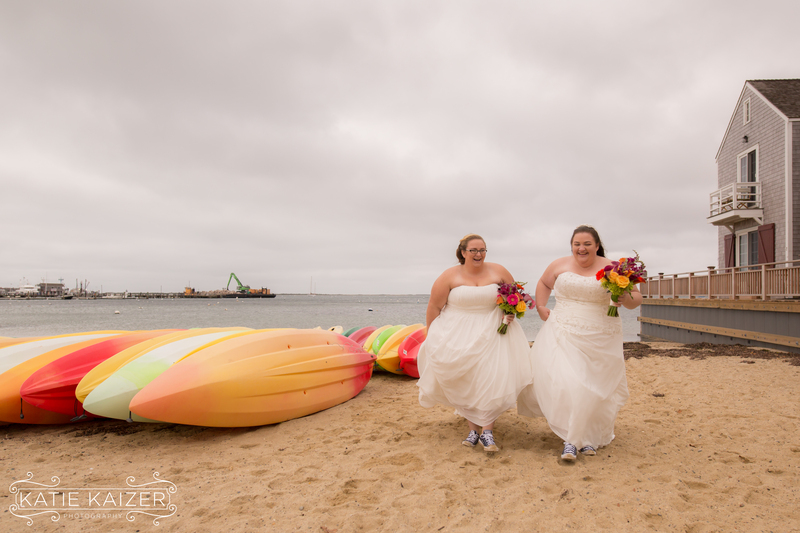 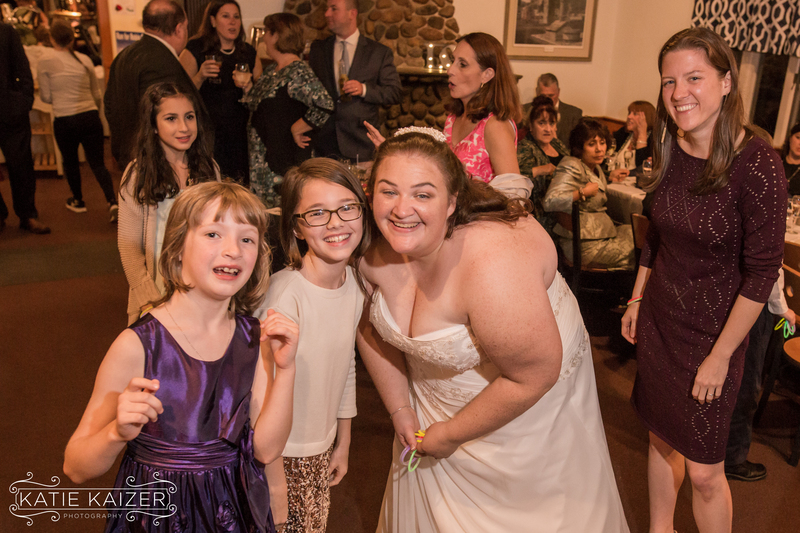 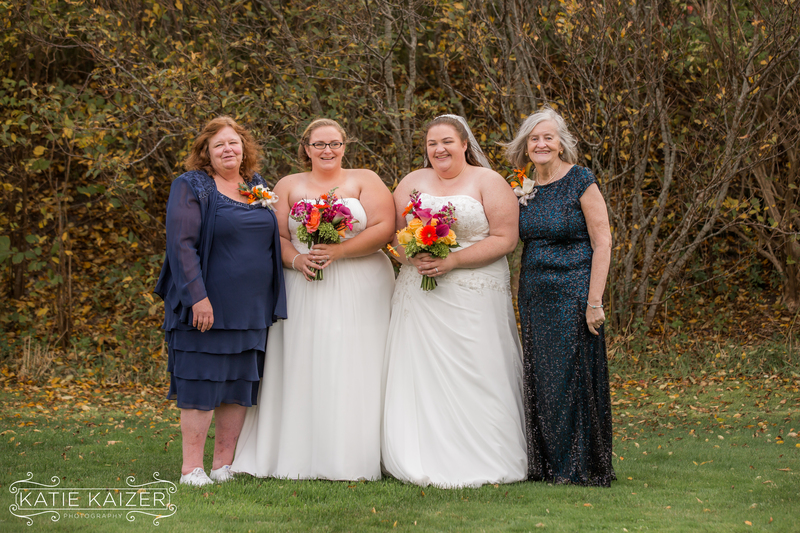 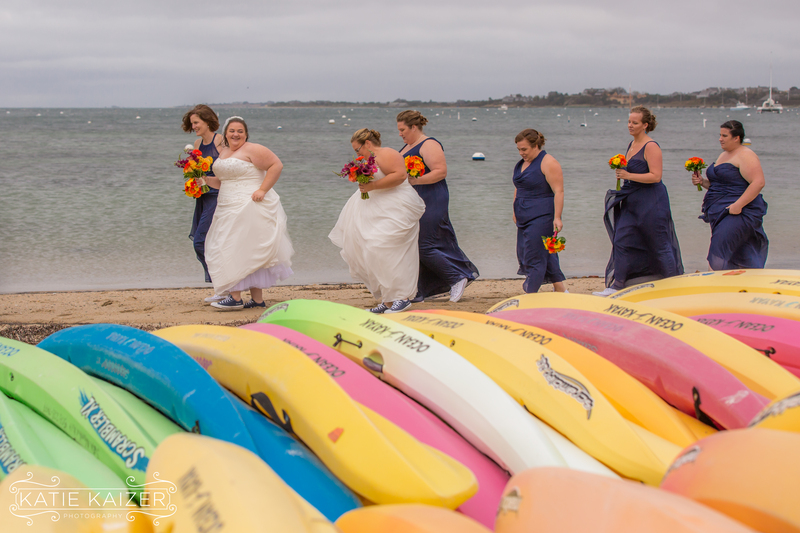 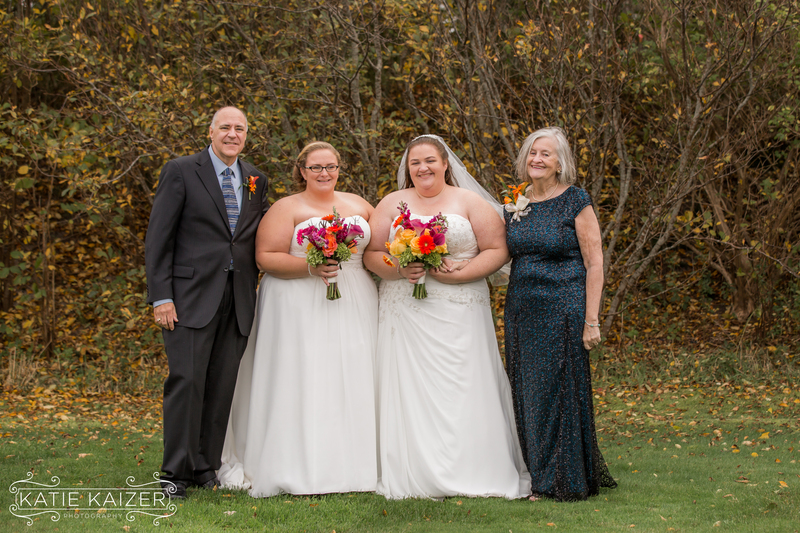 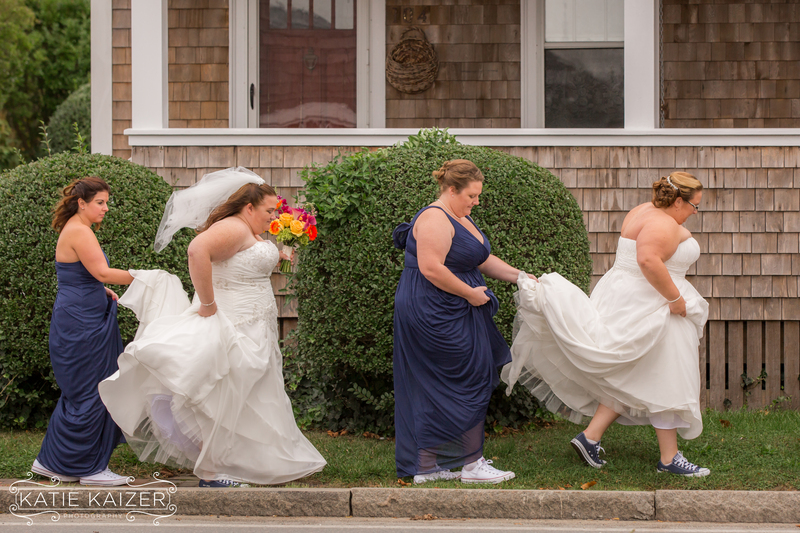 Catie and Tricia were married on October 22nd 2016 on Nantucket Island. 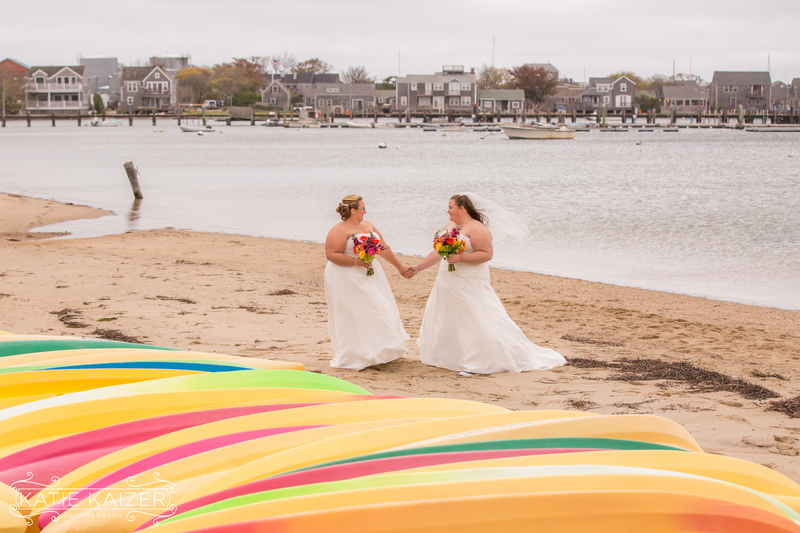 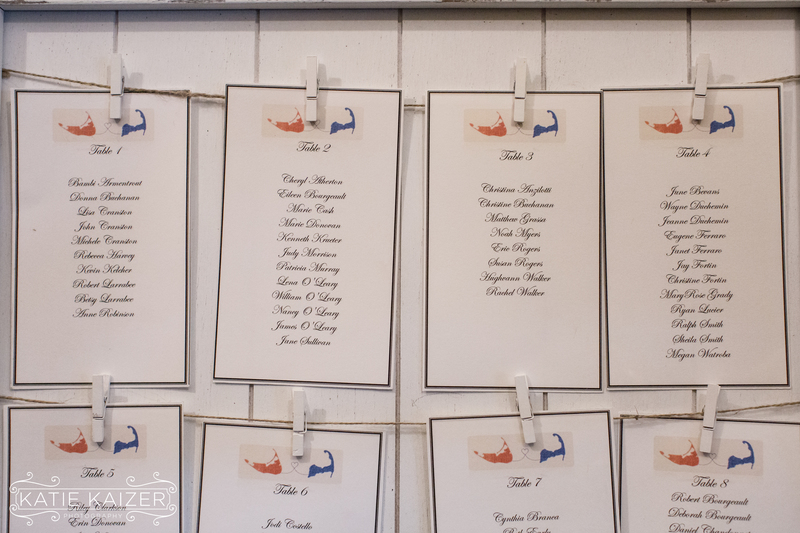 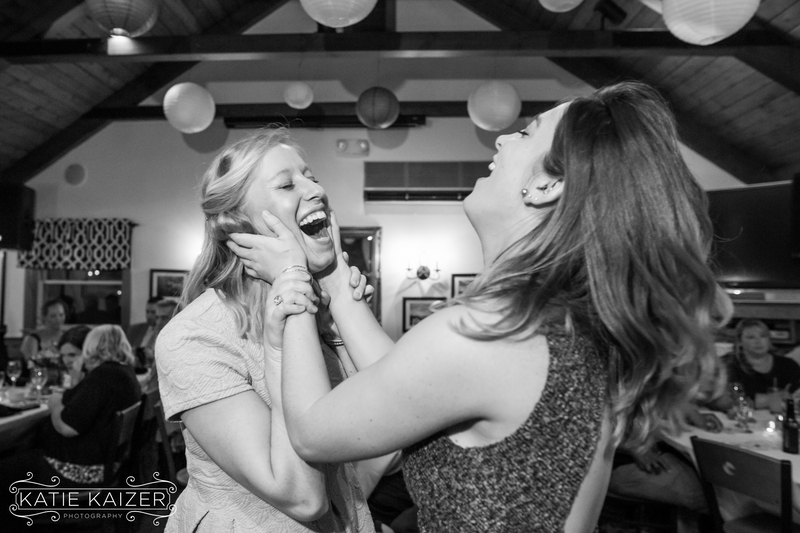 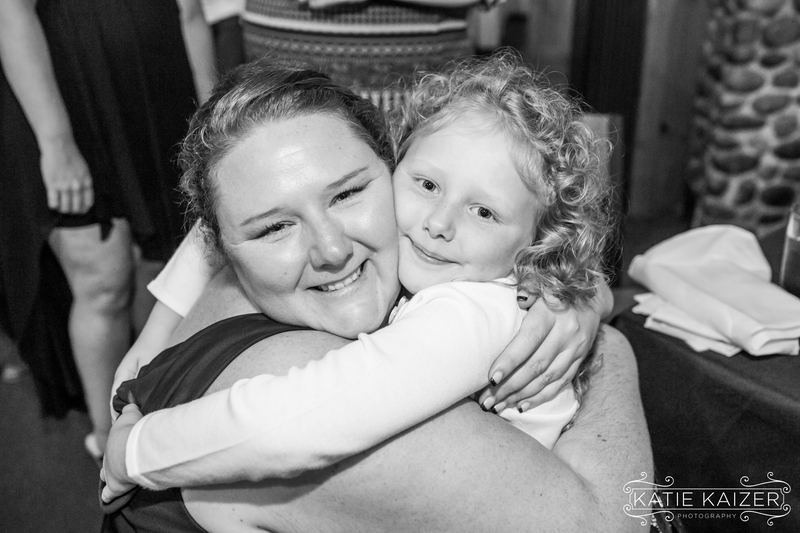 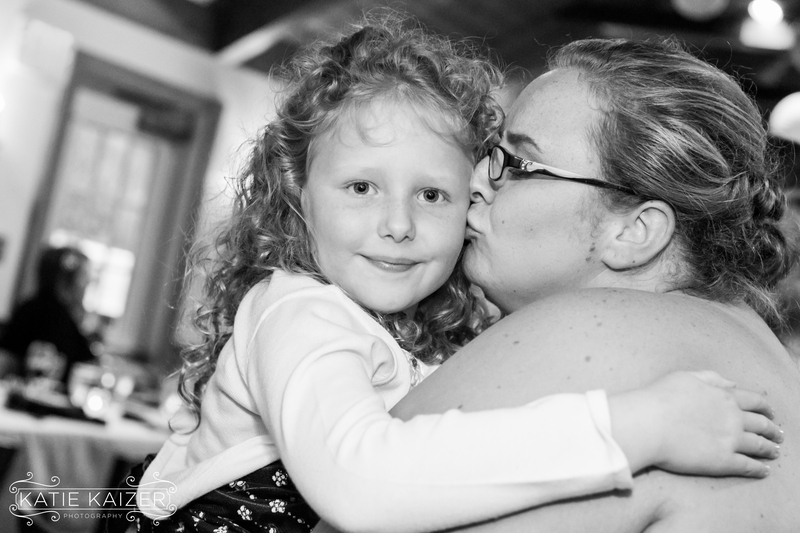 Catie was born and raised on Nantucket and Tricia grew up on Cape Cod in Mashpee. 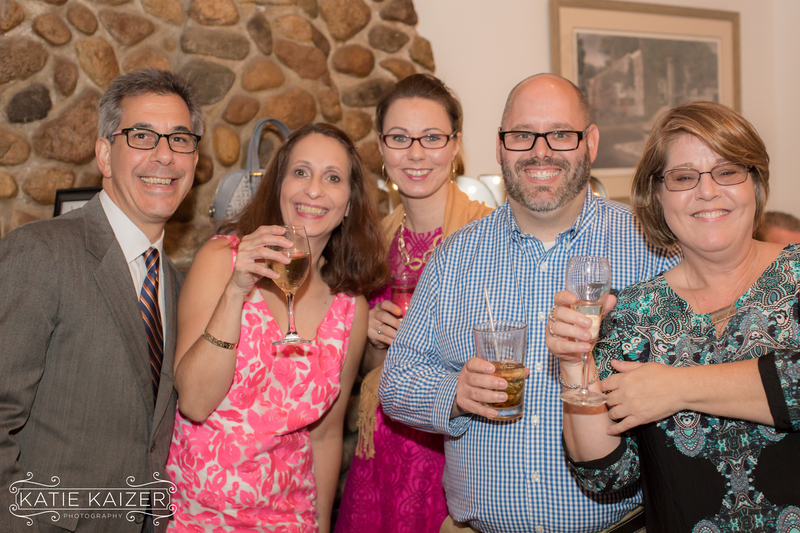 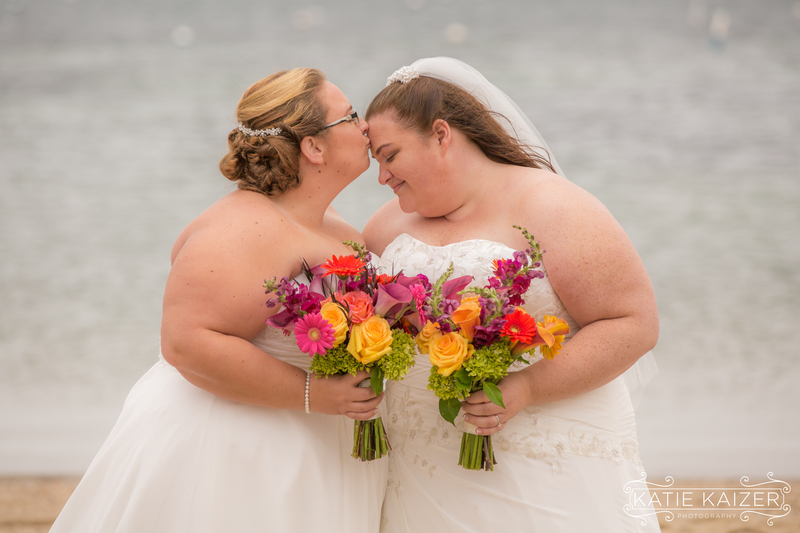 Their wedding weekend was full of joy, love and celebration. 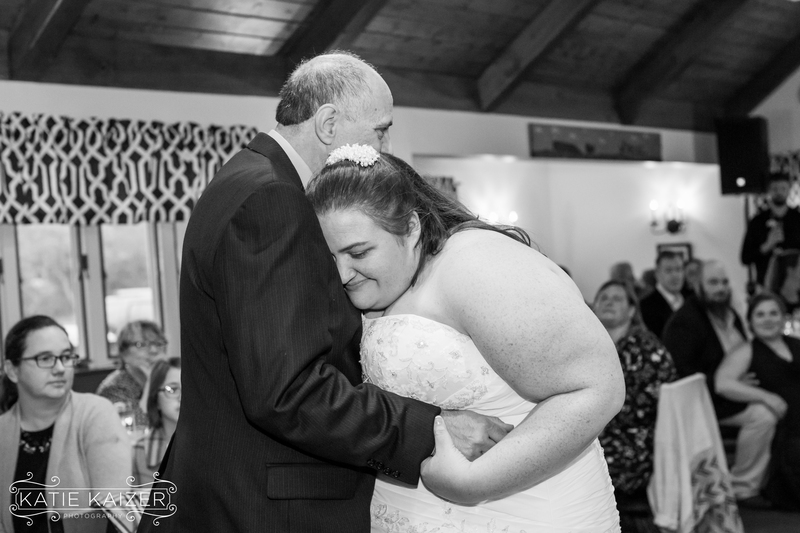 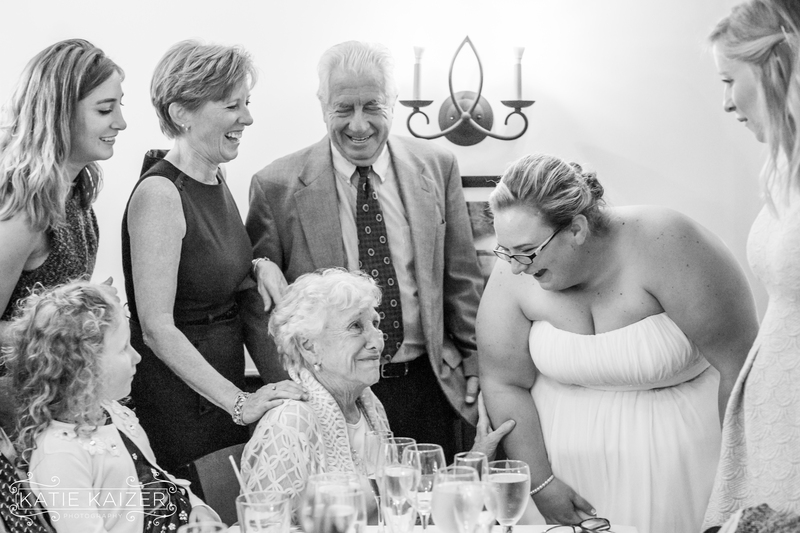 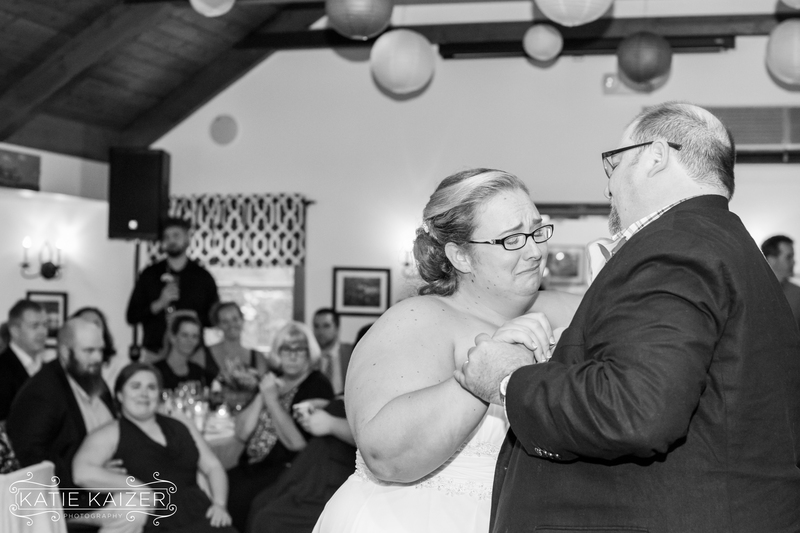 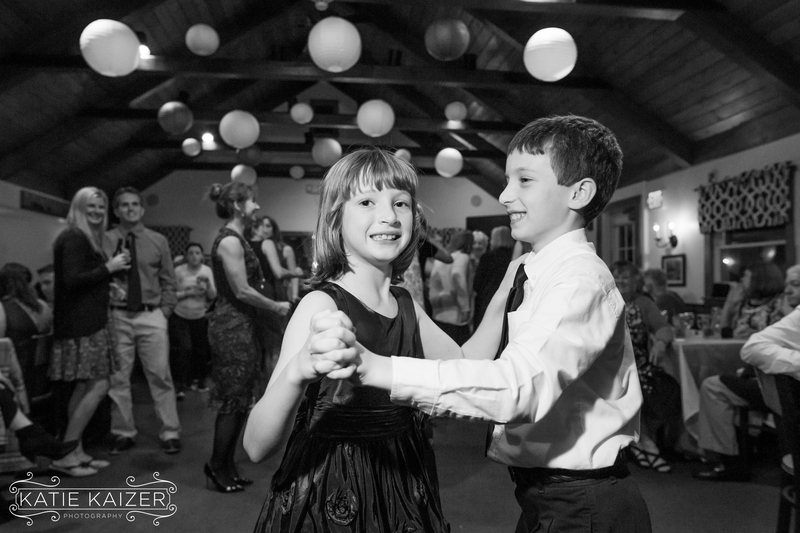 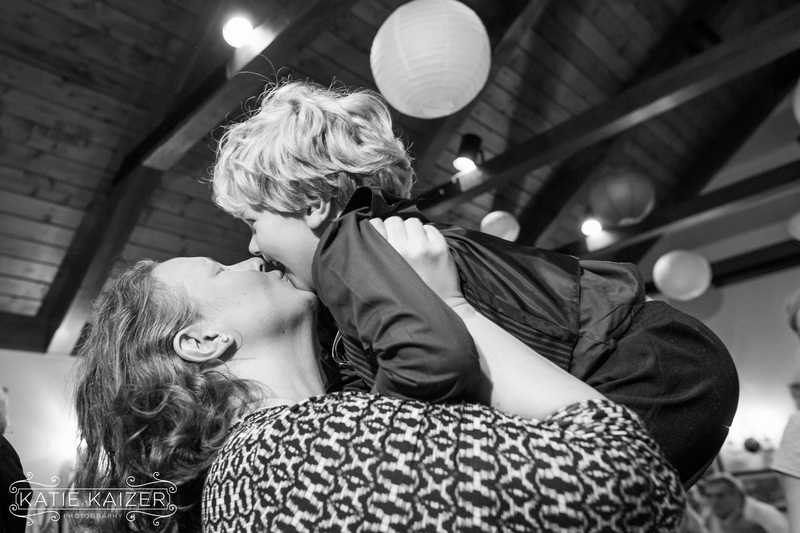 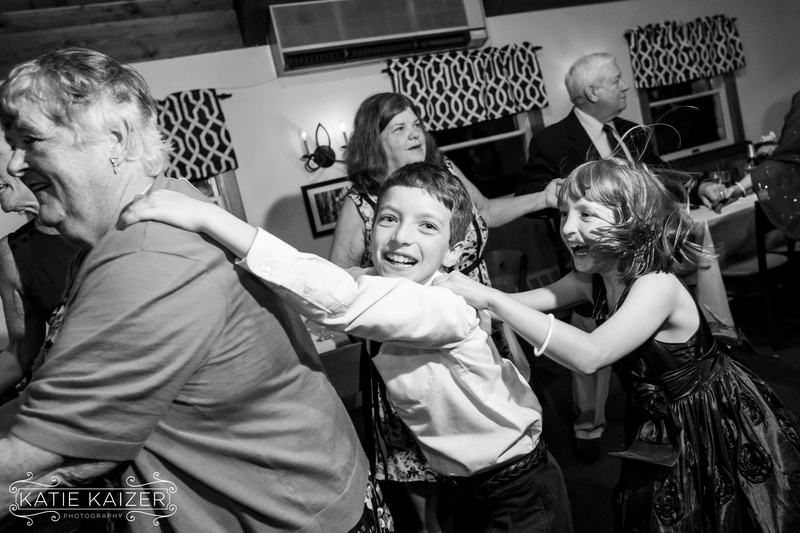 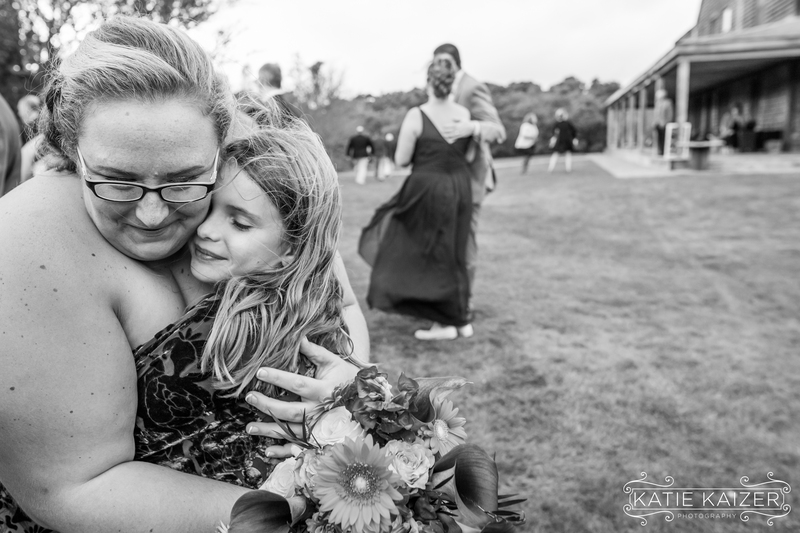 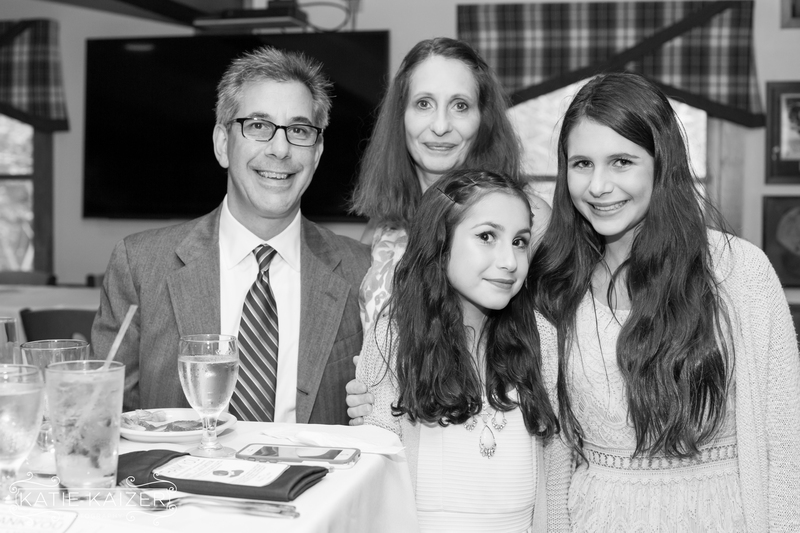 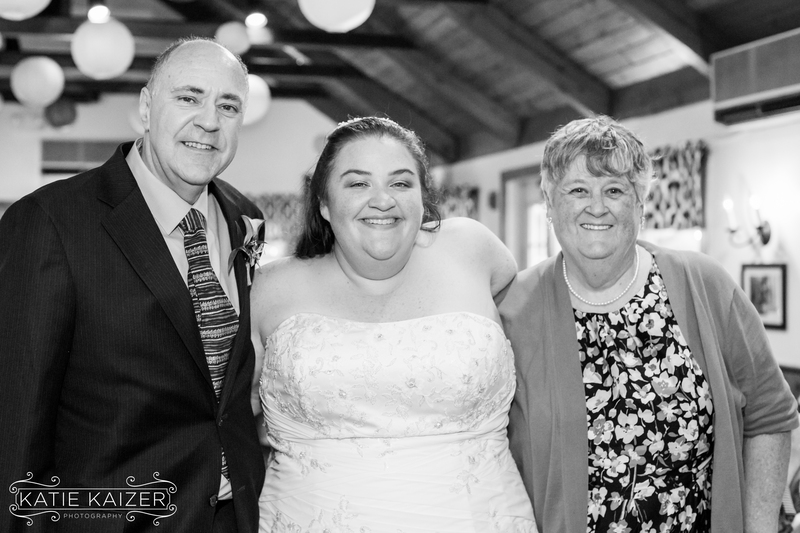 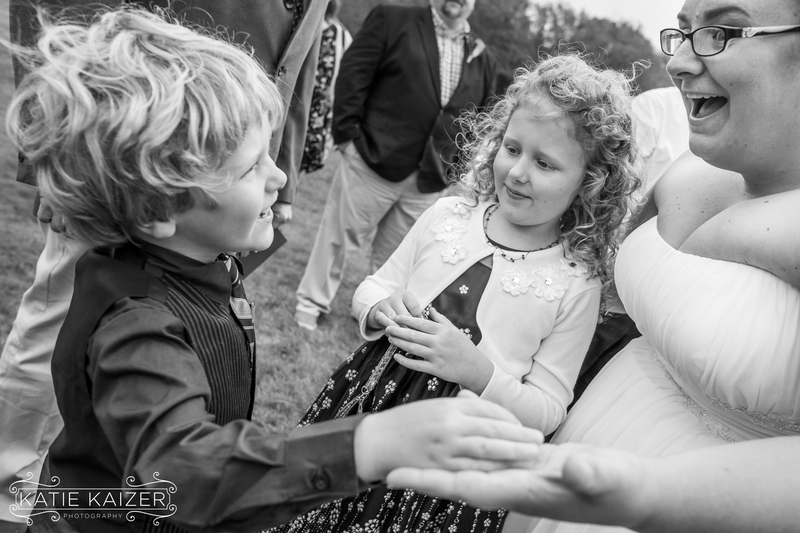 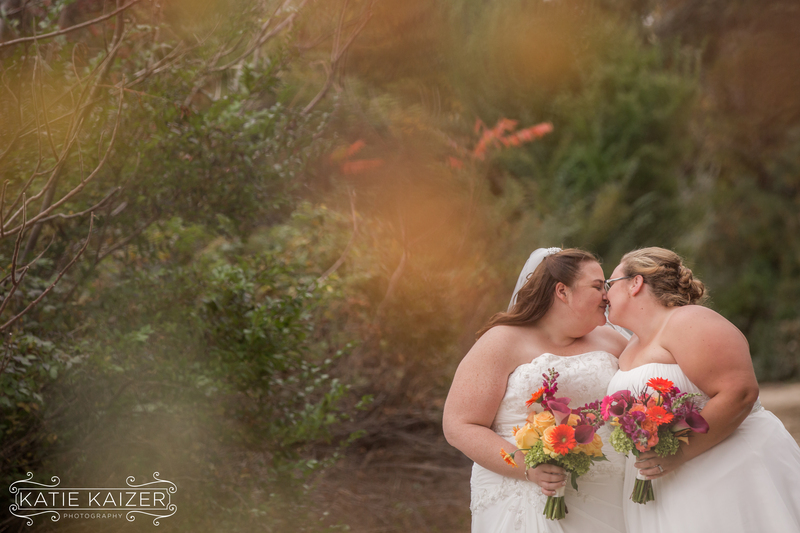 These two are so very loved and we were honored to capture such a beautiful wedding. 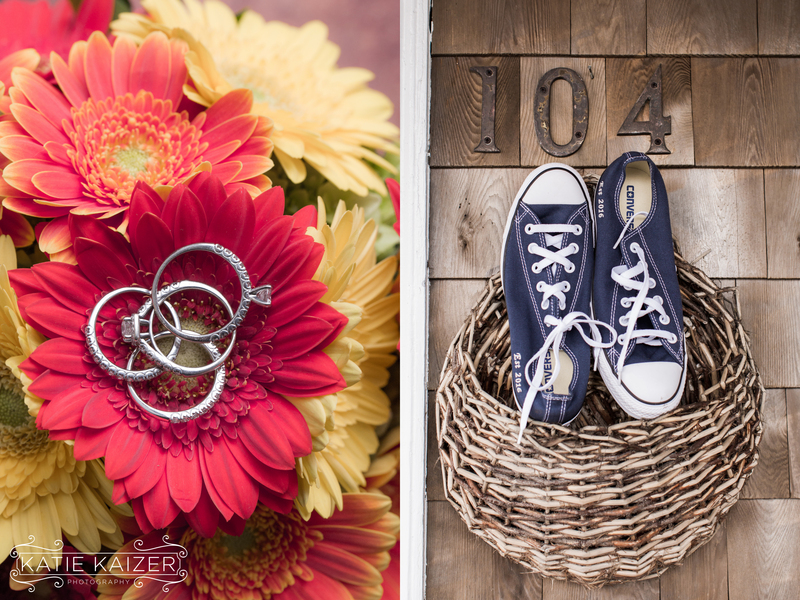 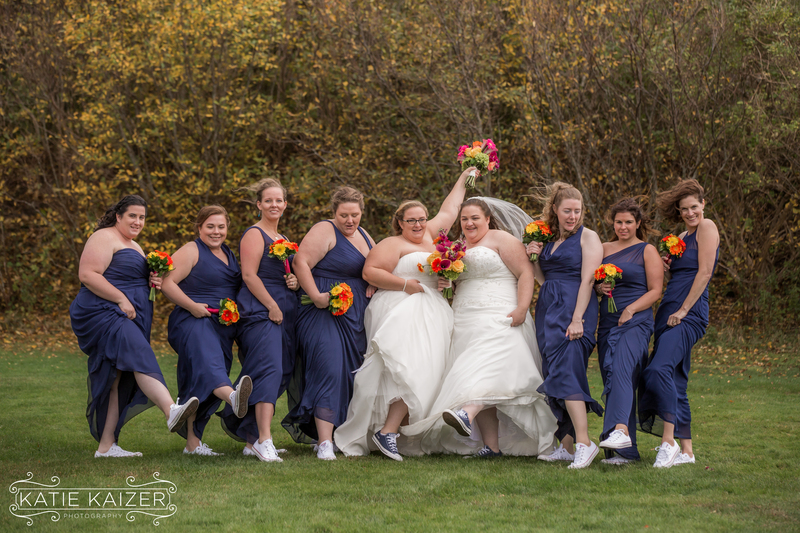 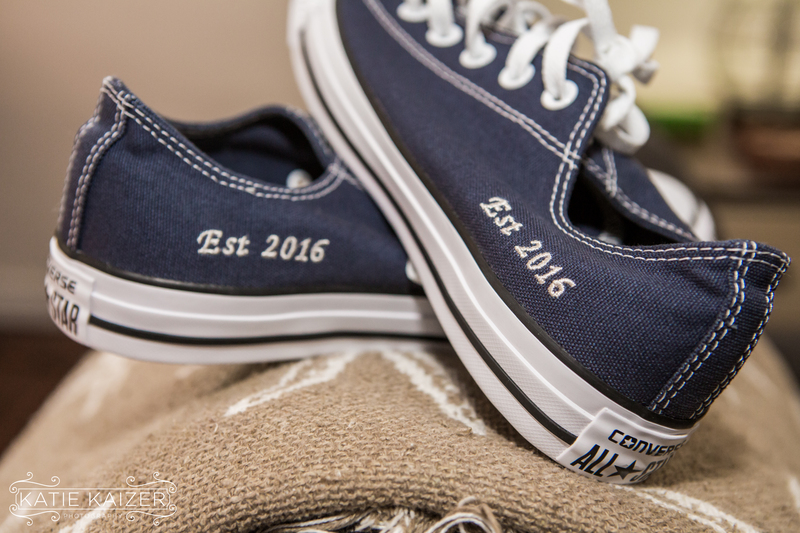 We loved their custom Converse Sneakers with their wedding date embroirdered on the side, just one of their many personal touches to the wedding! 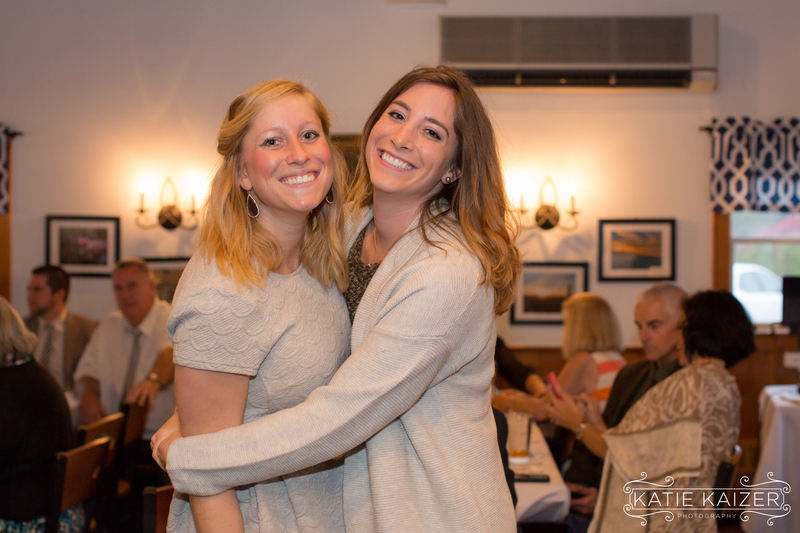 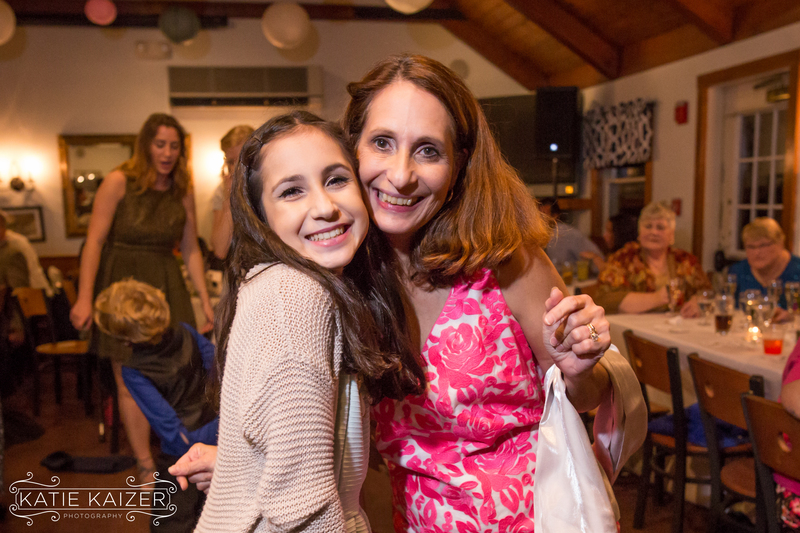 Since Catie is from the Island it was so much fun to see many familiar faces at their celebration! 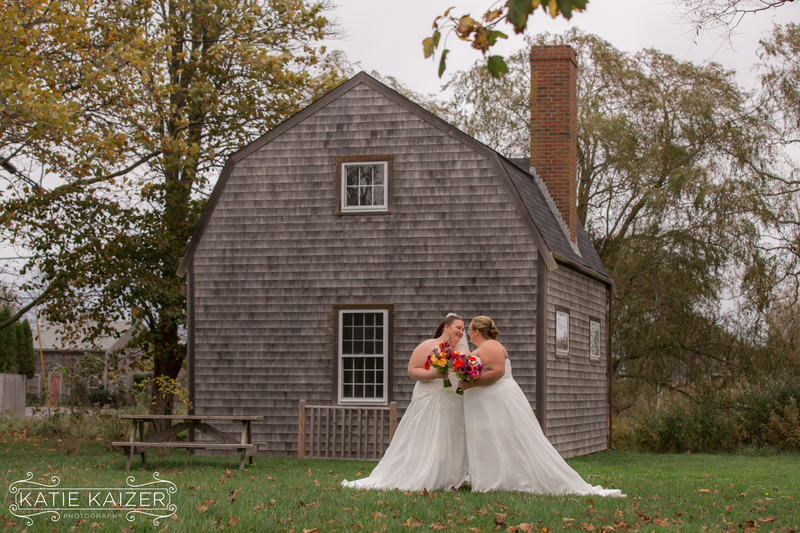 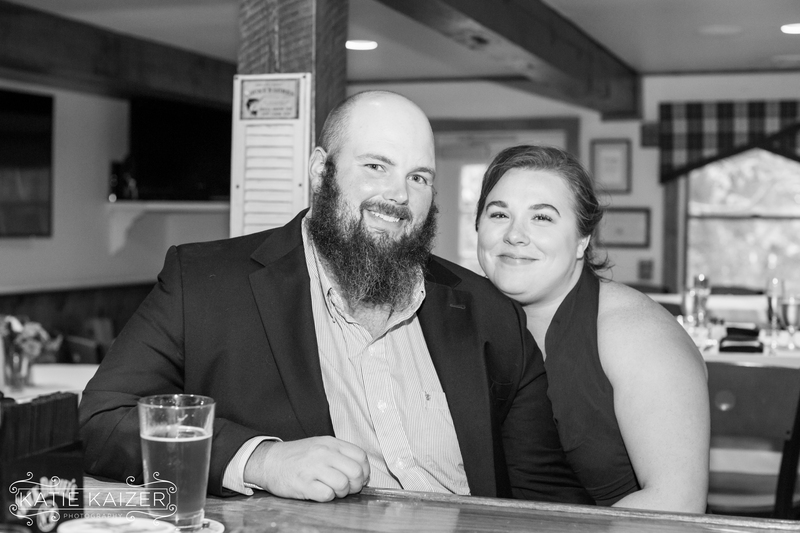 Here’s more from Catie about their decision to have their wedding here…. 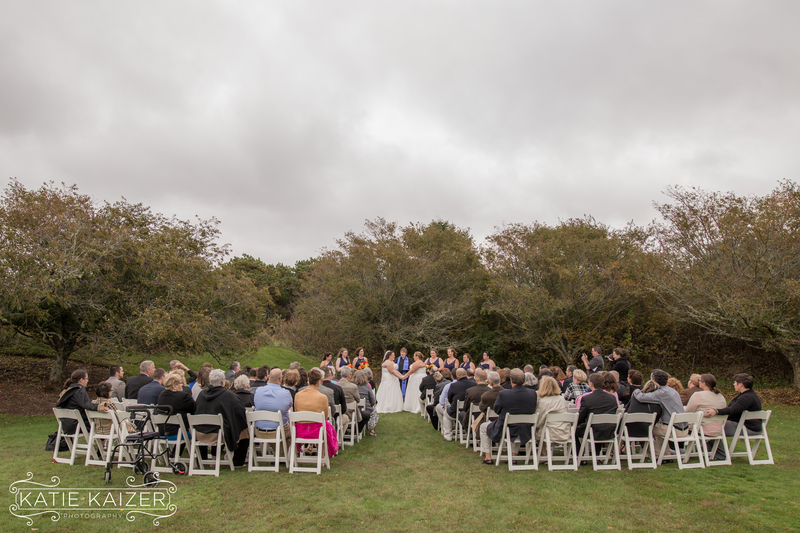 The Faregrounds was a cozy place for their reception and as we arrived everyone welcomed in the newlyweds for their first dance. 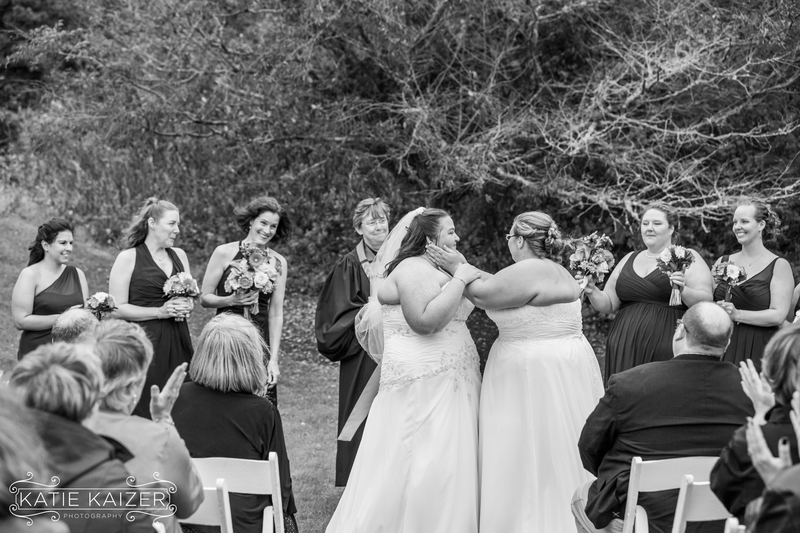 It was a beautiful site to see everyone surround Catie and Tricia with love throughout their special day. 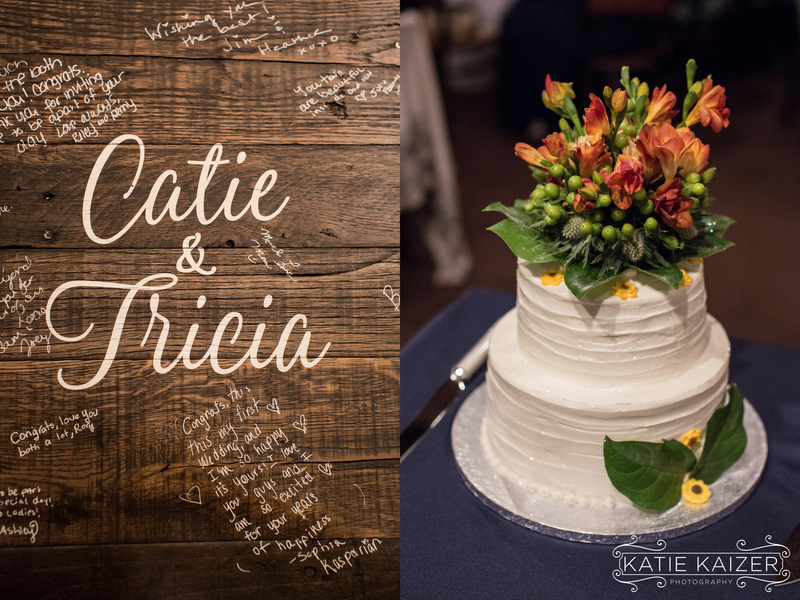 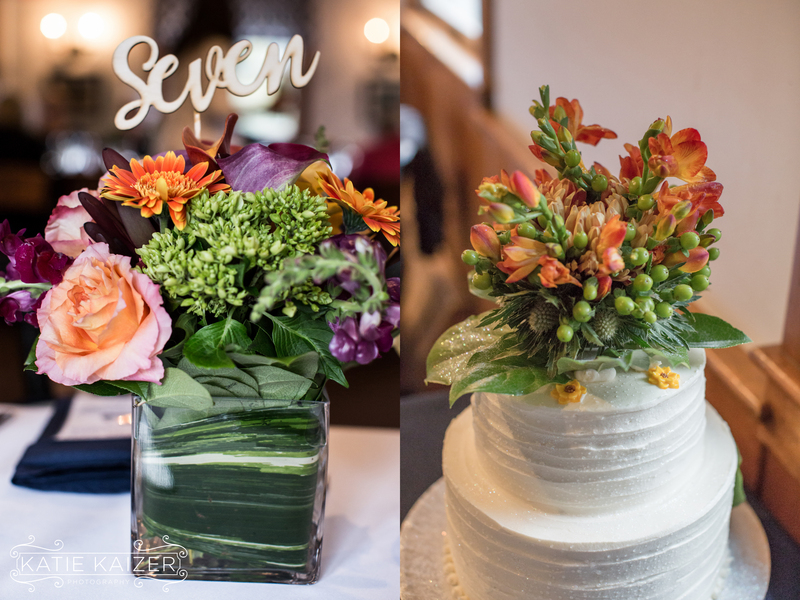 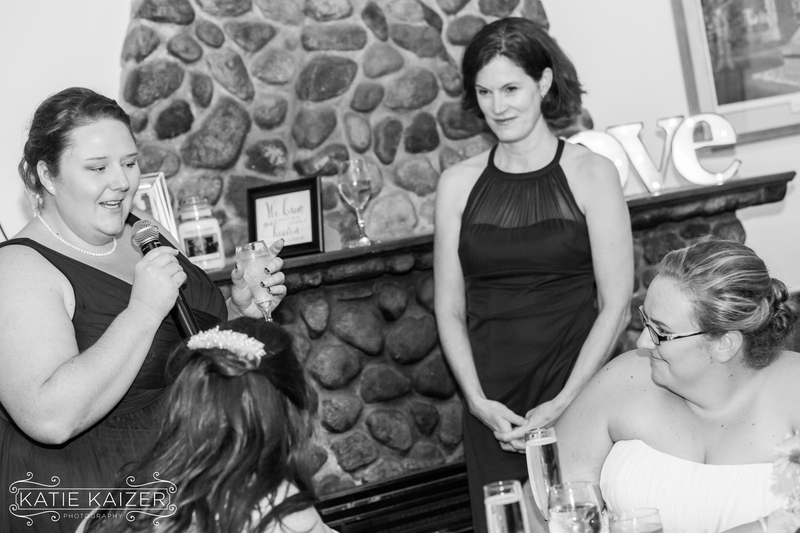 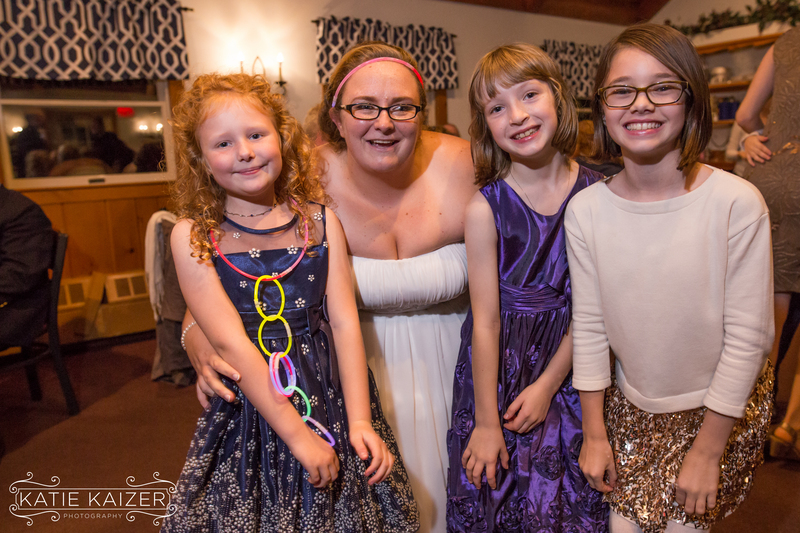 I loved hearing from Catie and Tricia about their most memorable parts of the day. 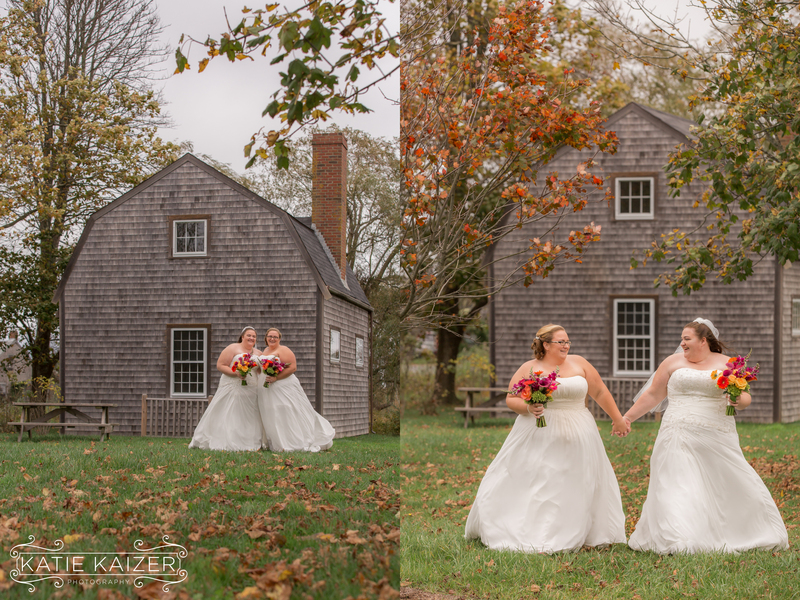 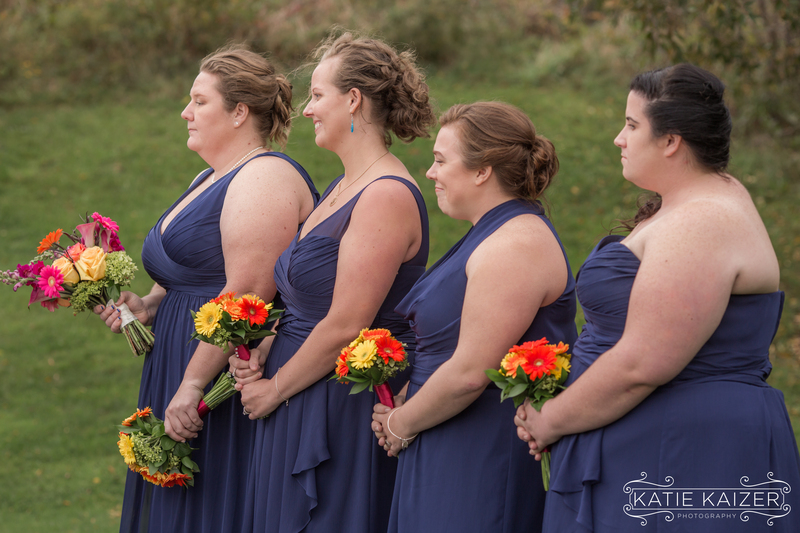 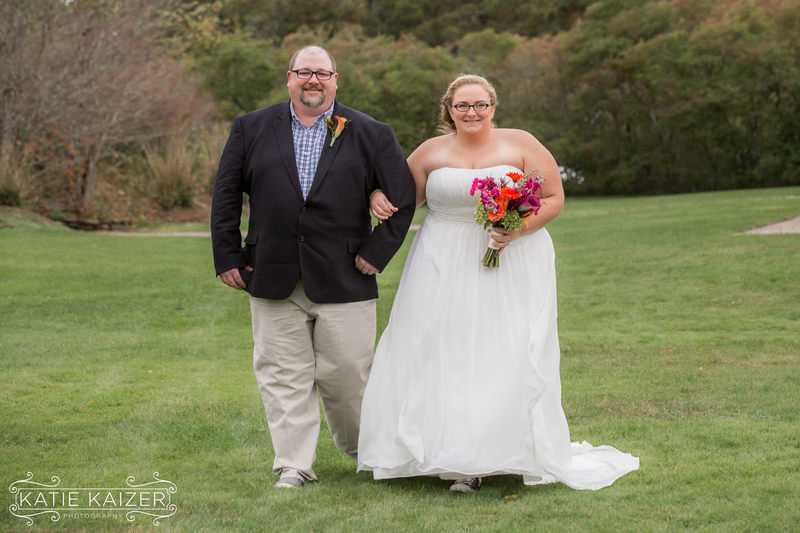 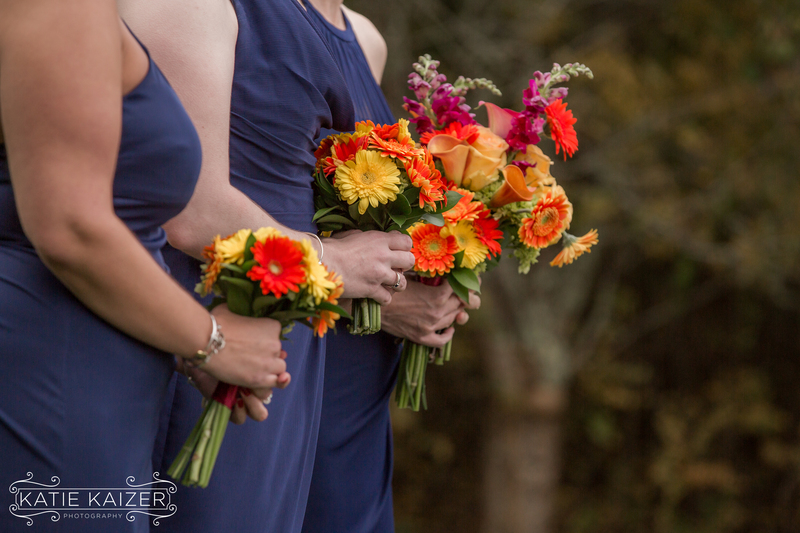 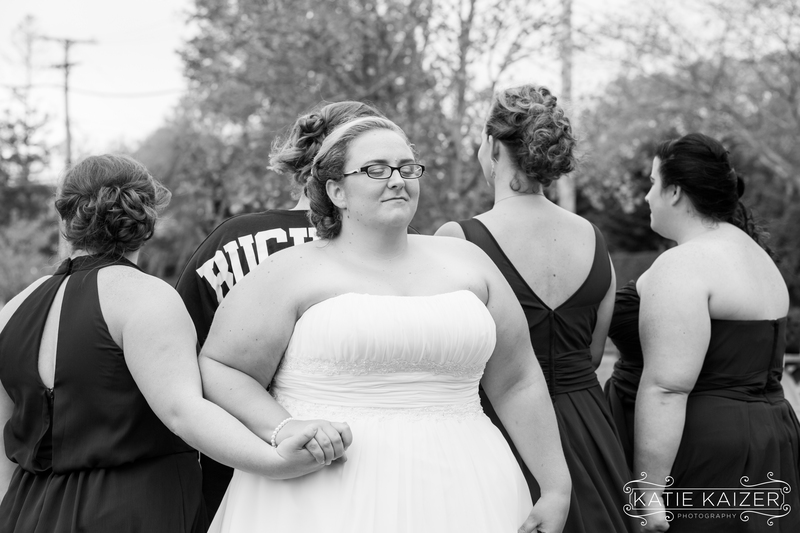 We had decided to do their fist look right next to Catie’s Mother’s home and it was a beautiful setting. 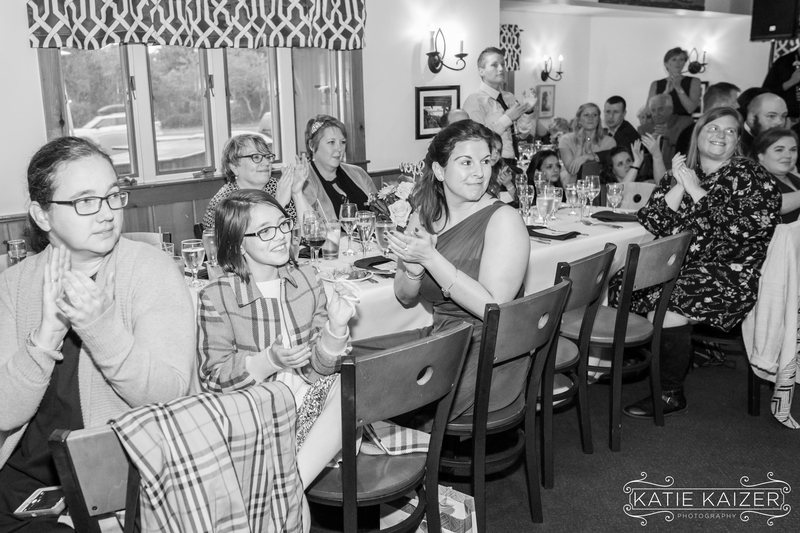 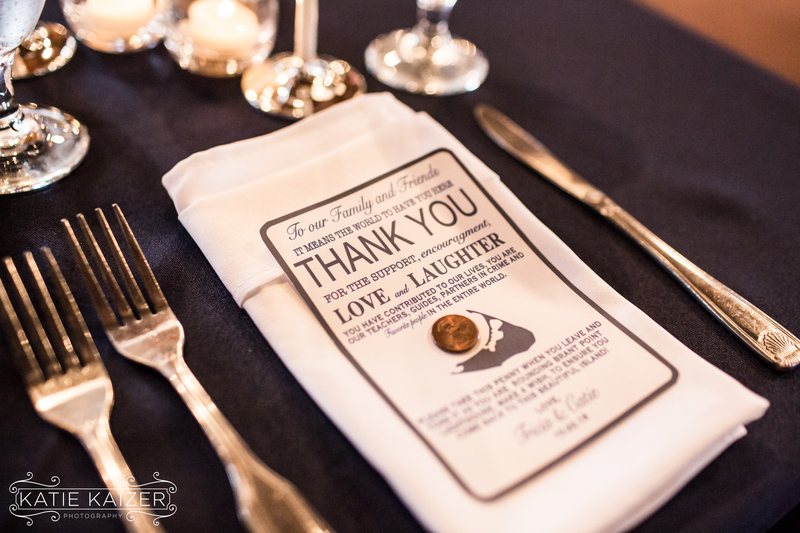 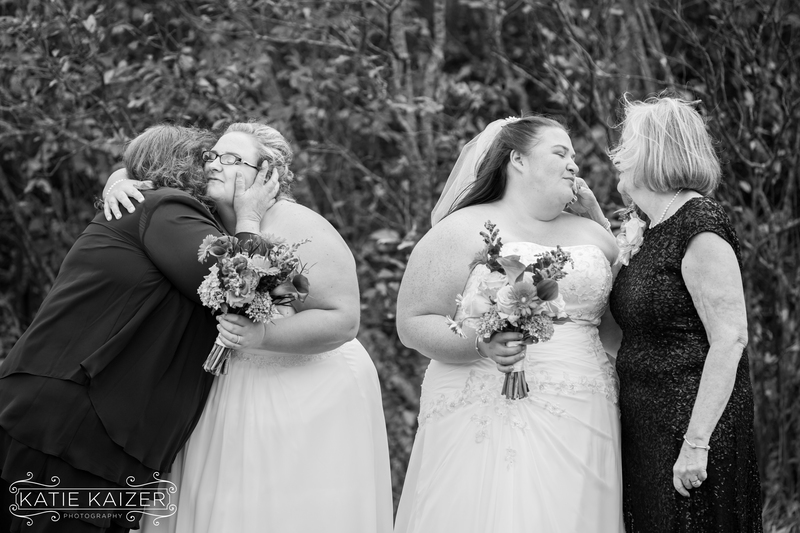 At this wedding you could really feel and see the support and love from everyone in attendance. 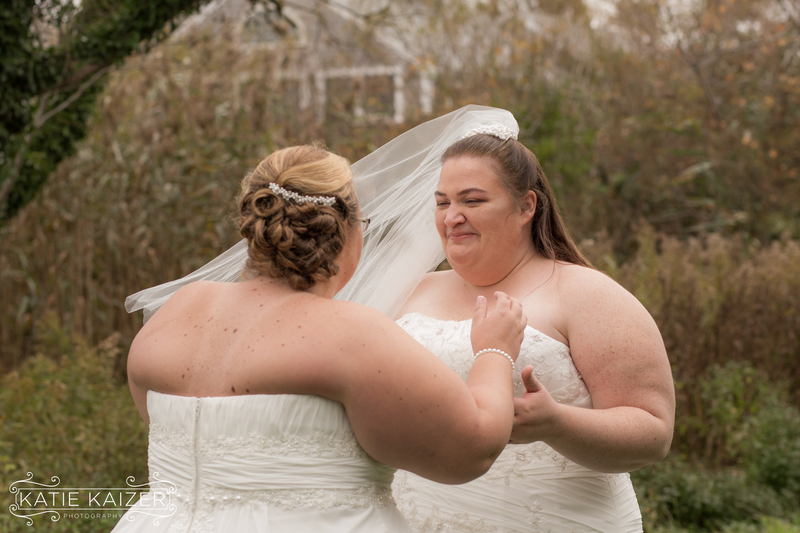 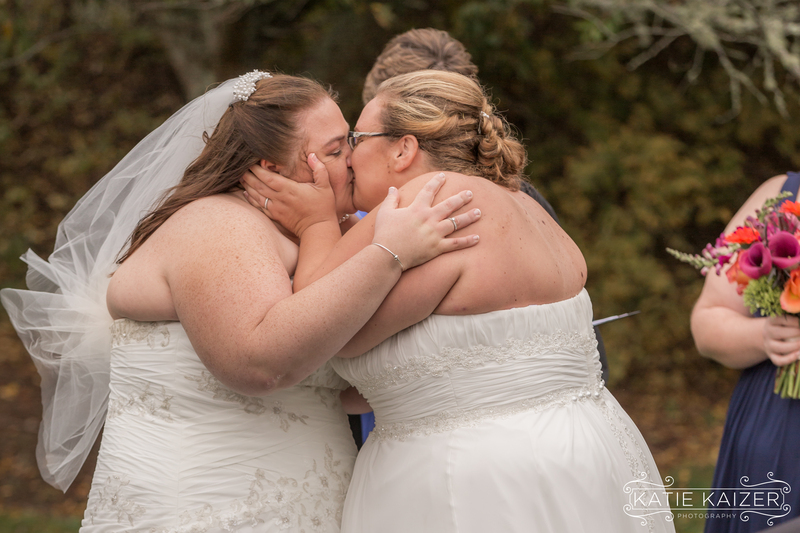 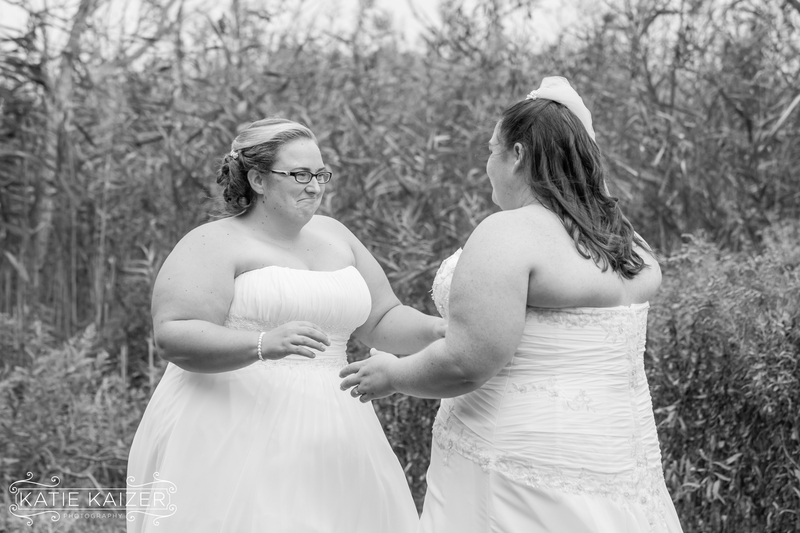 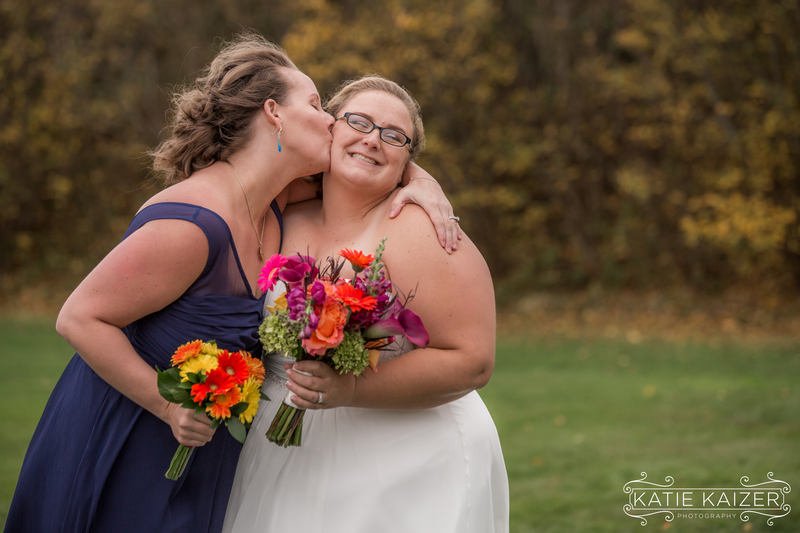 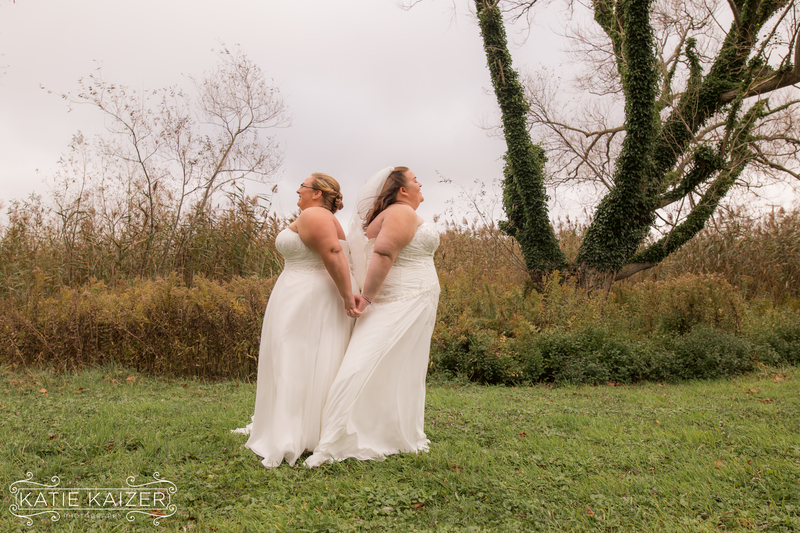 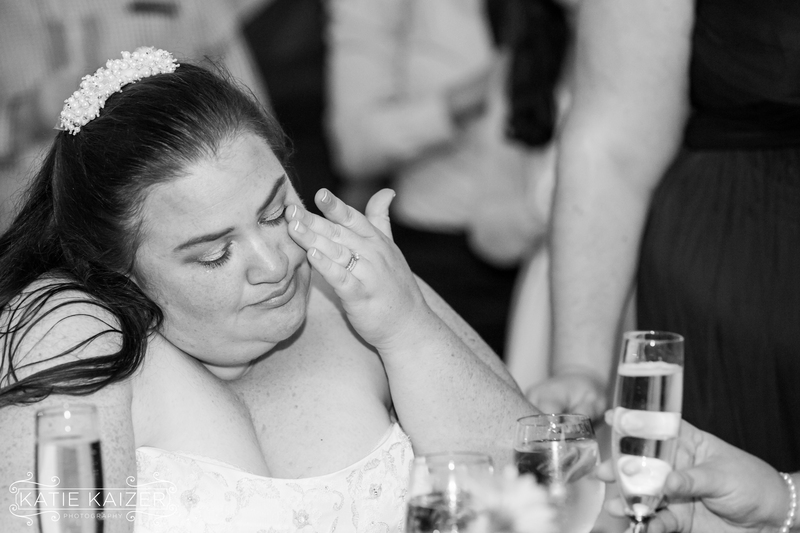 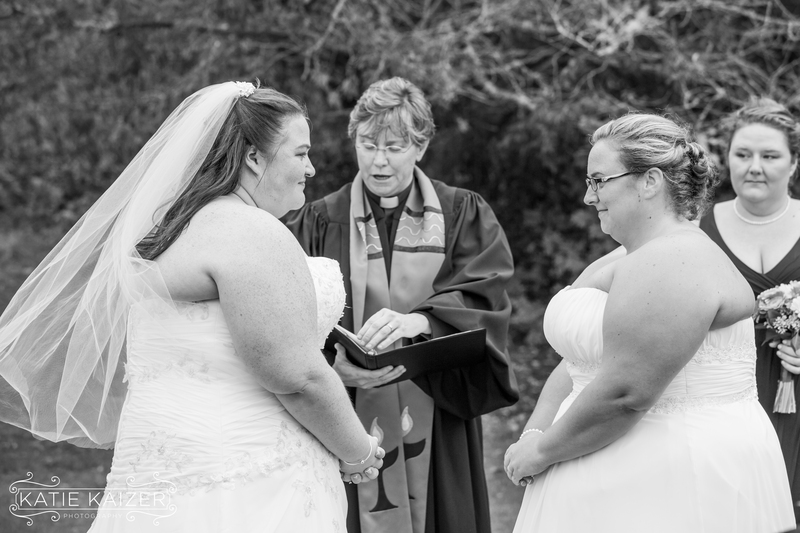 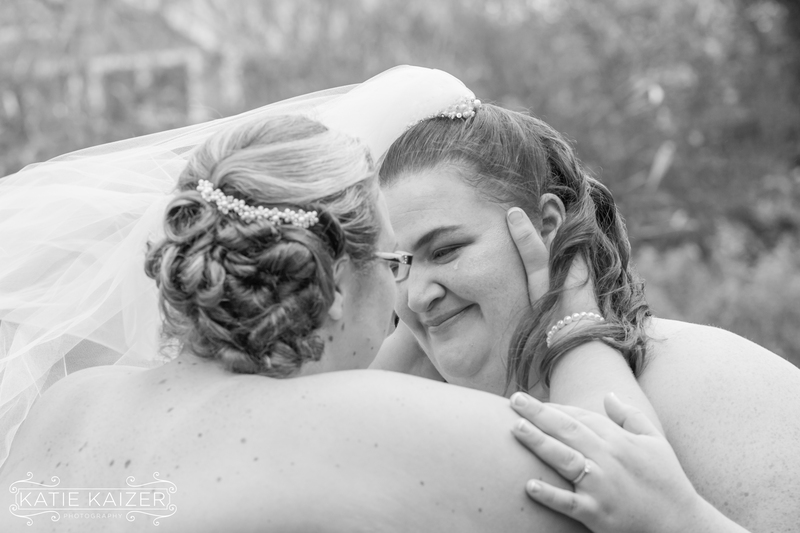 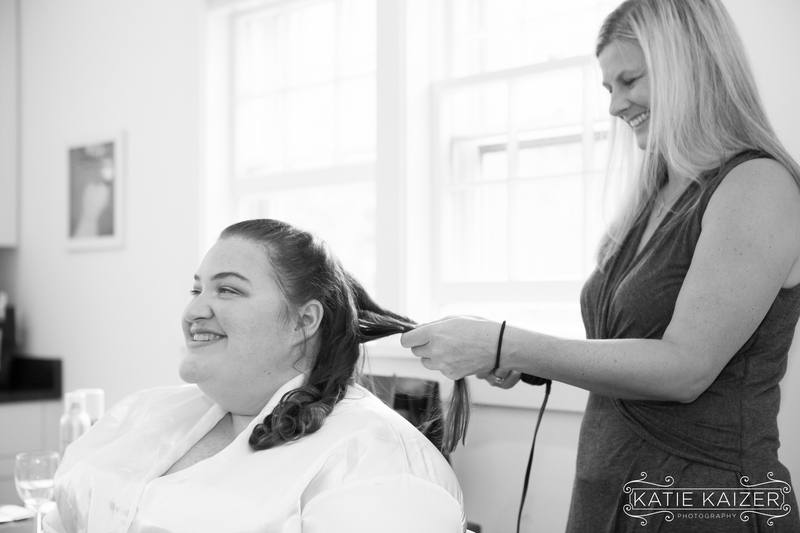 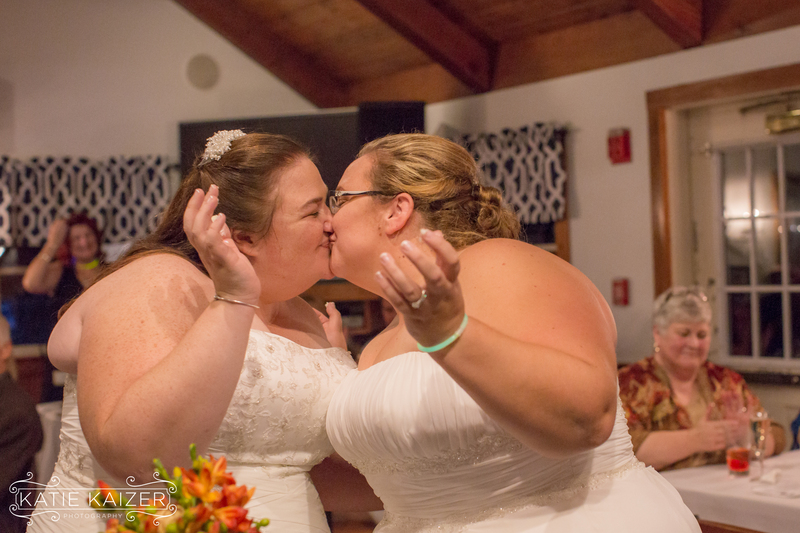 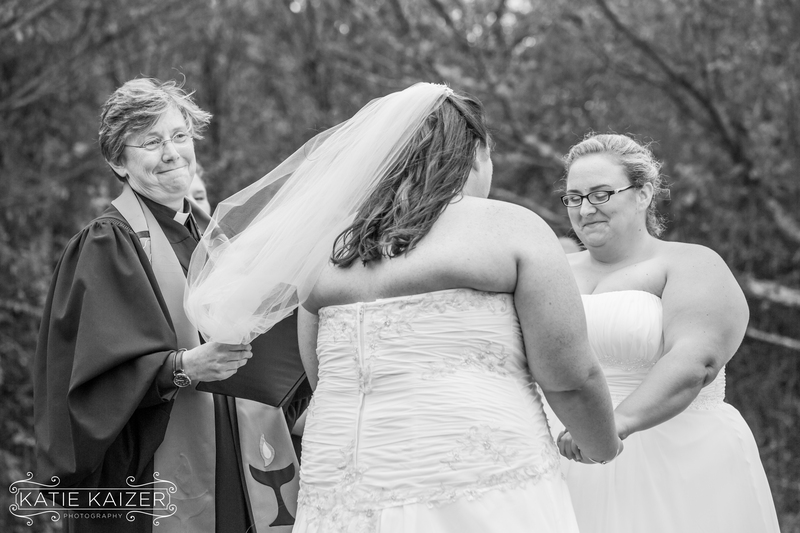 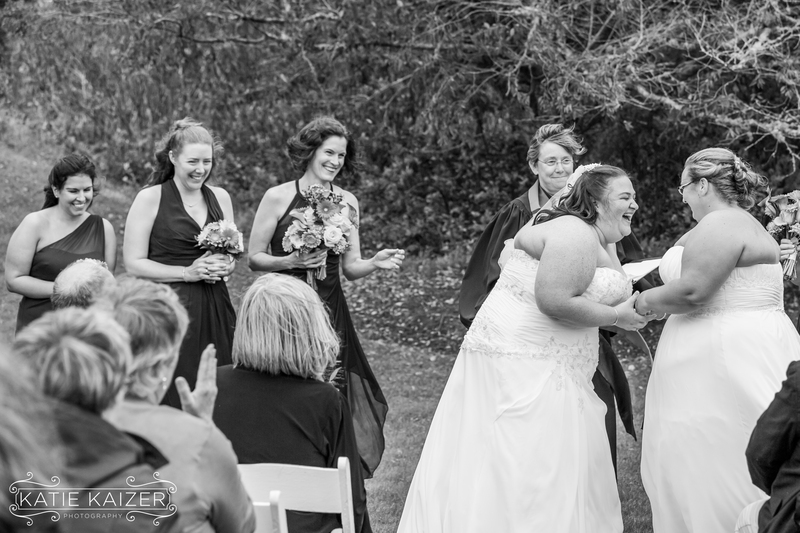 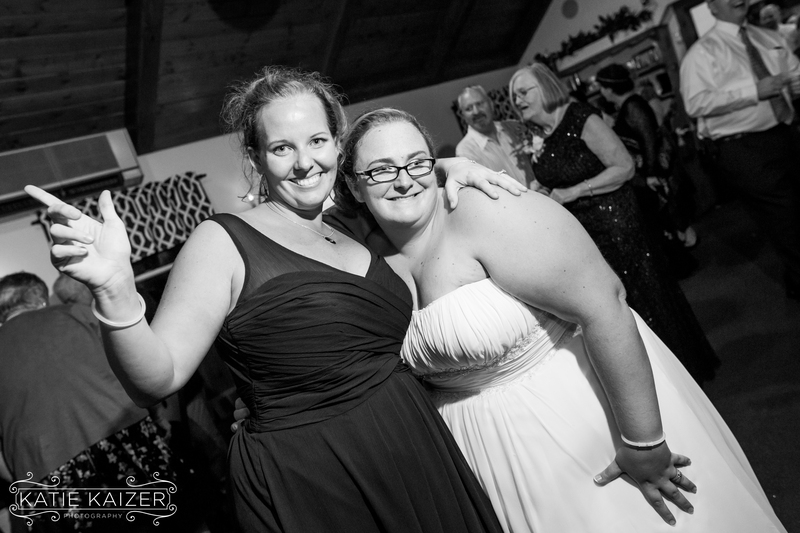 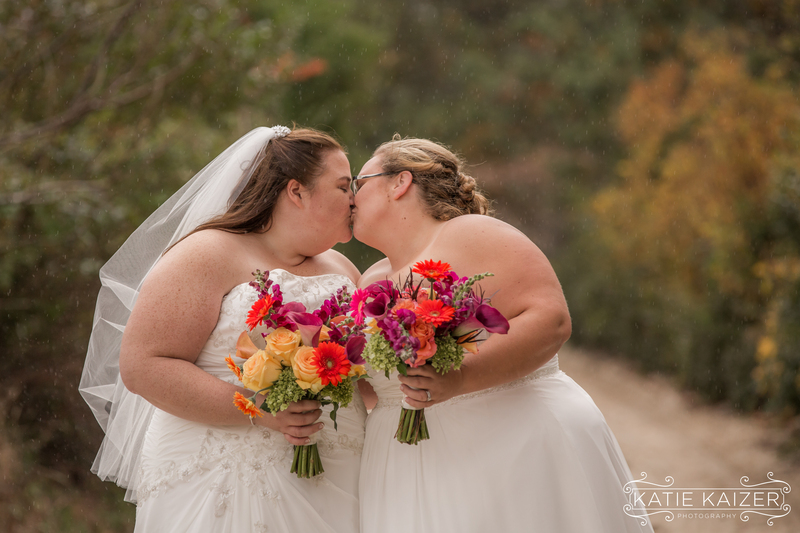 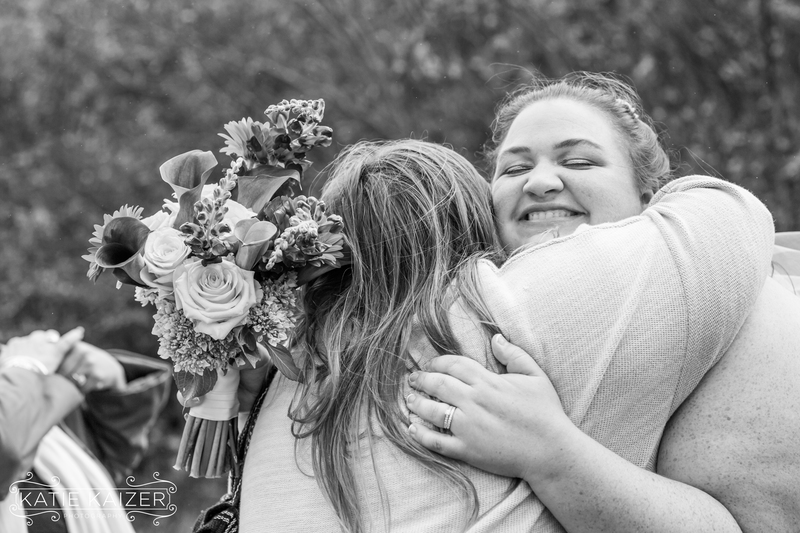 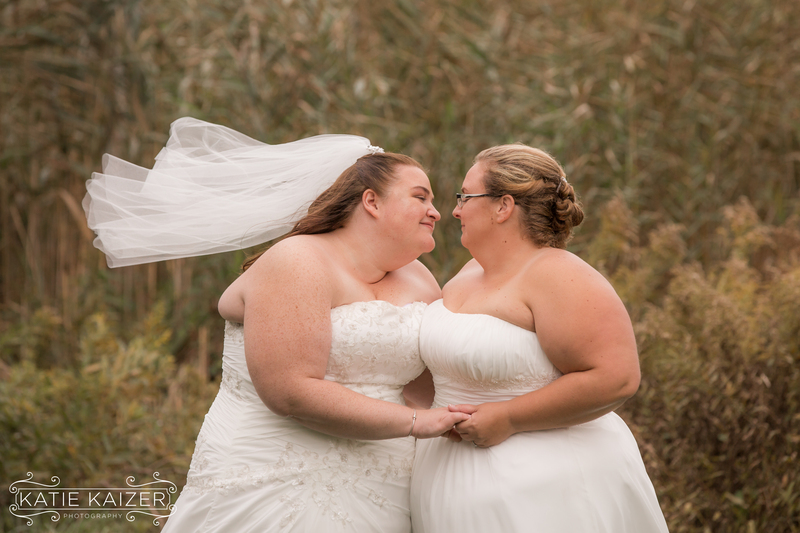 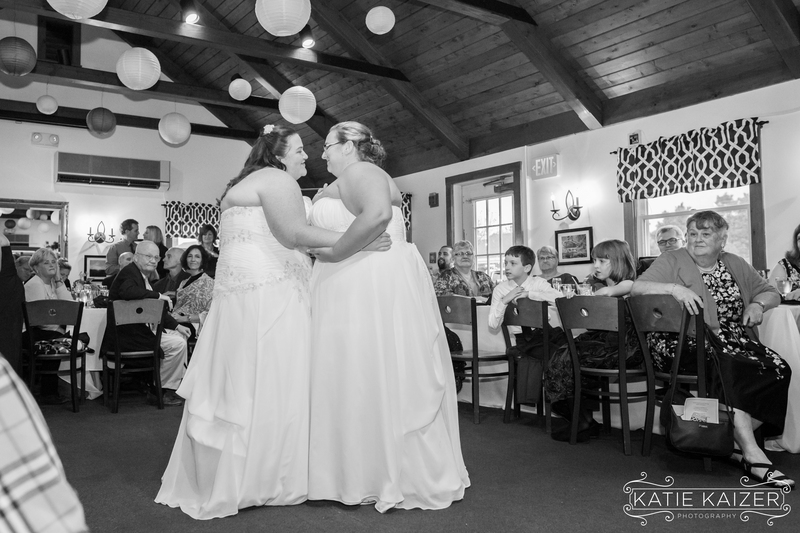 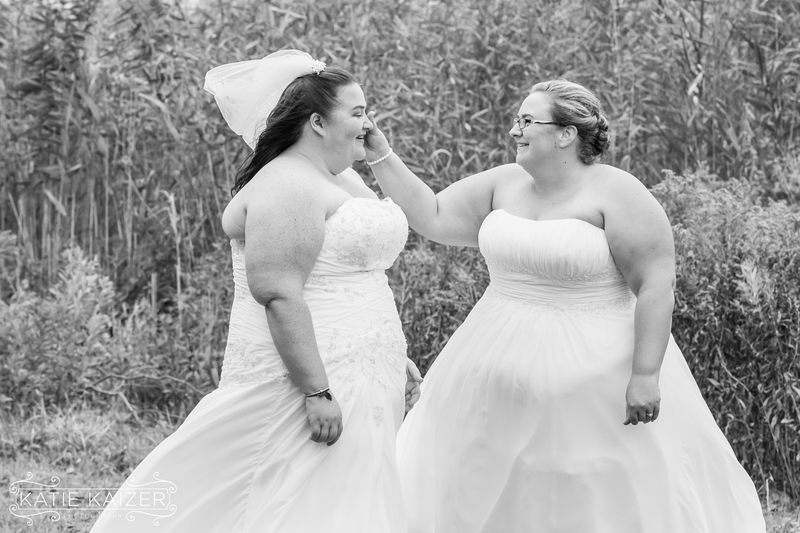 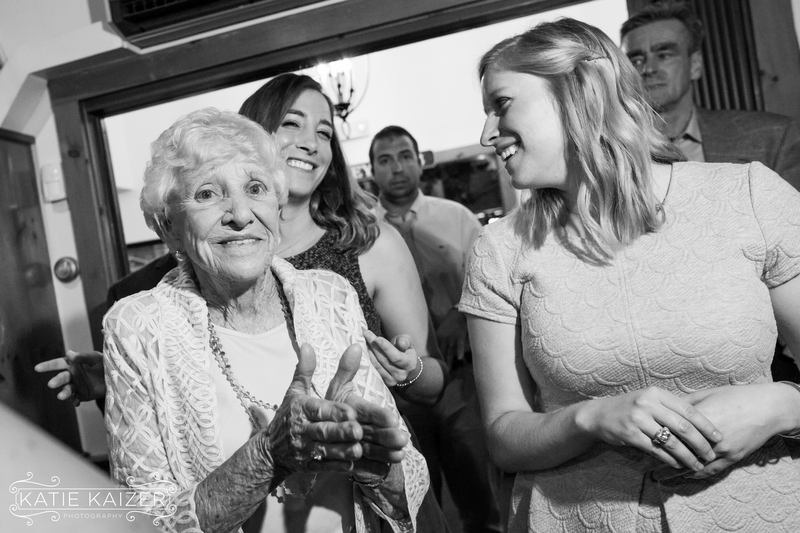 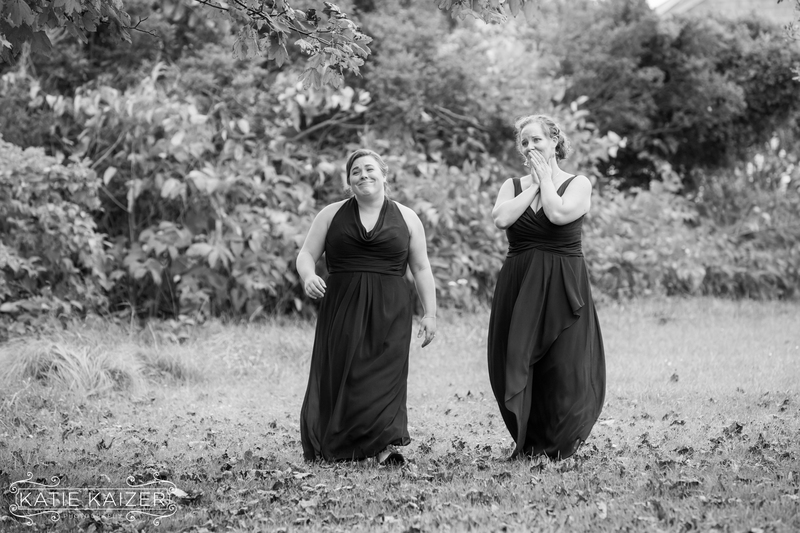 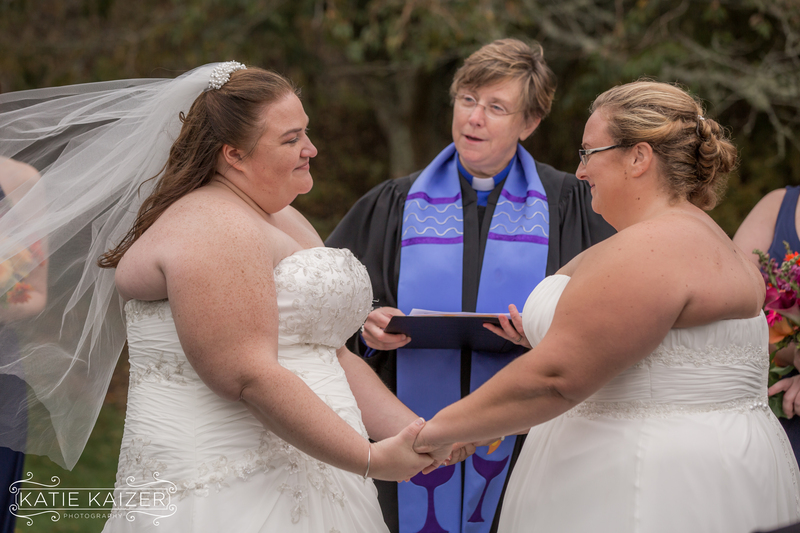 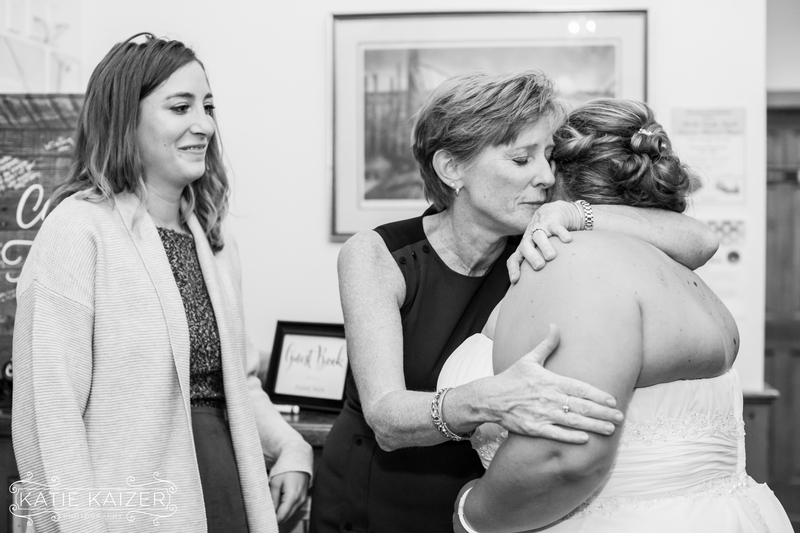 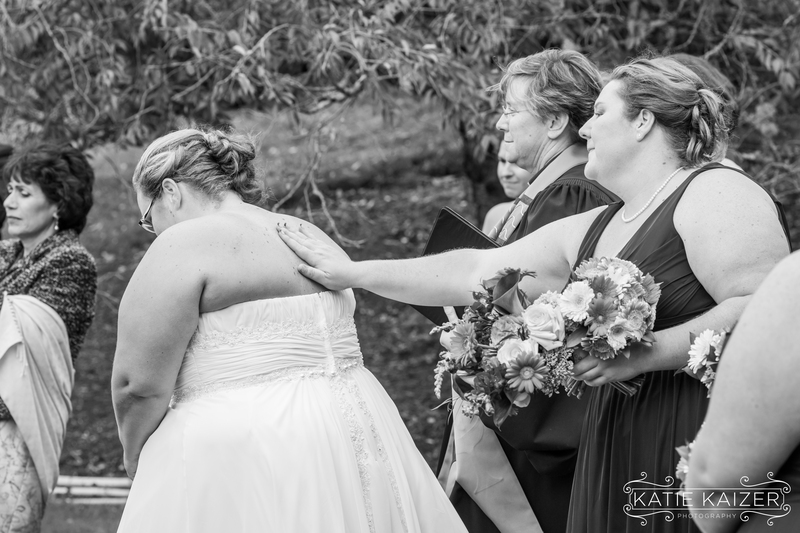 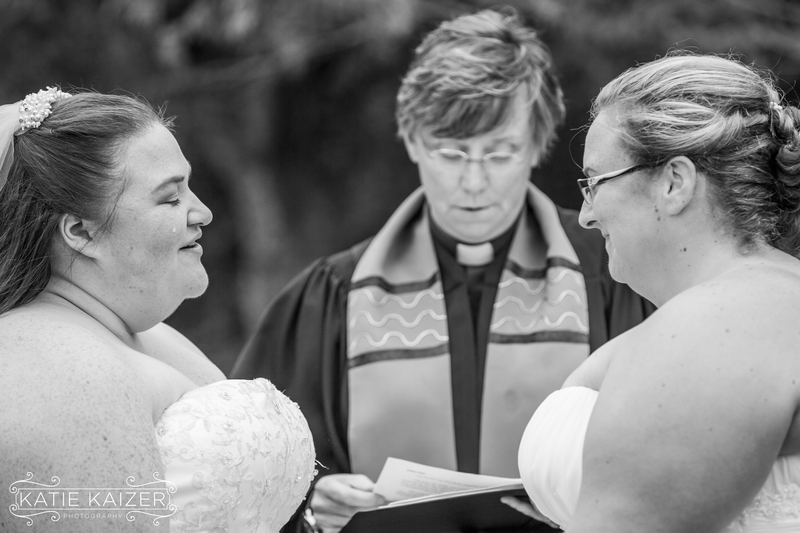 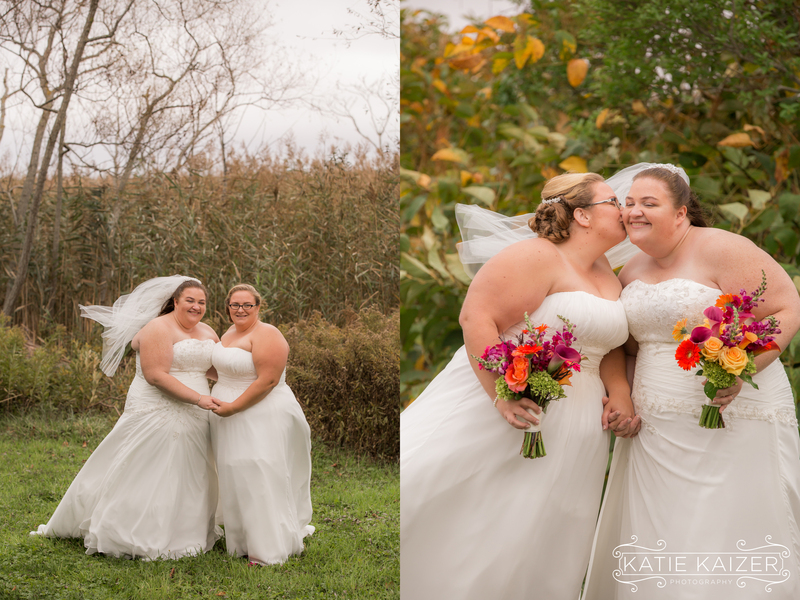 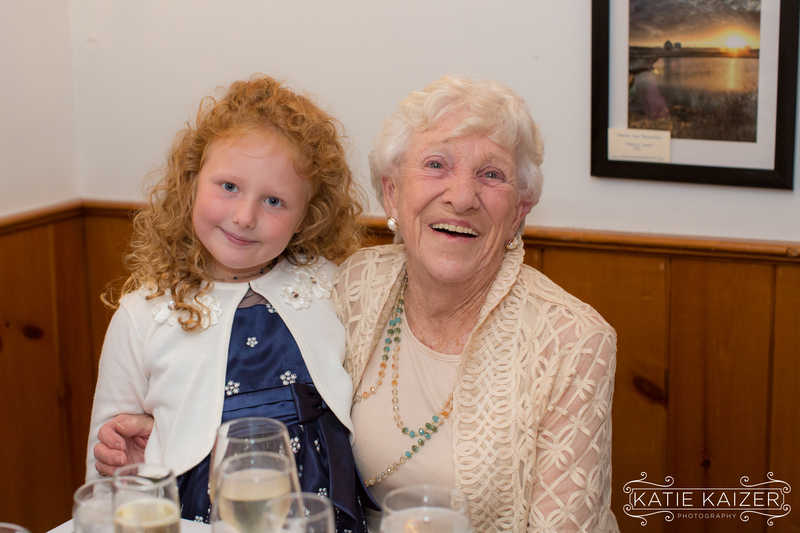 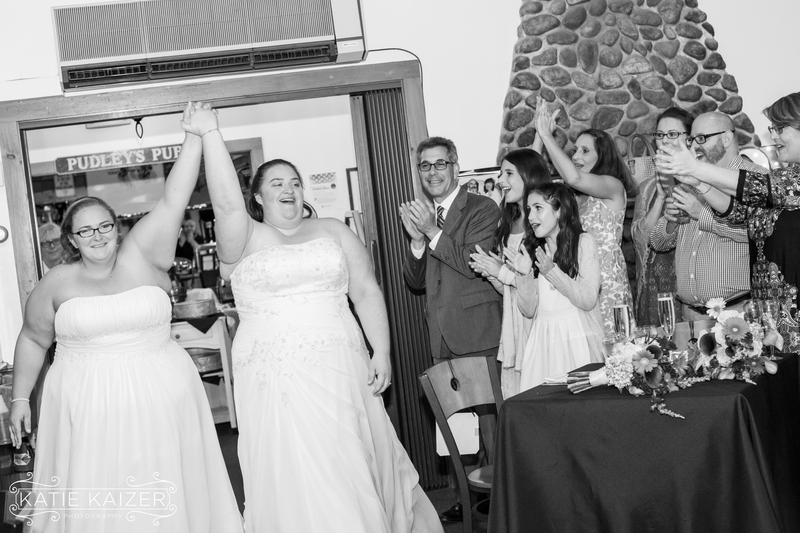 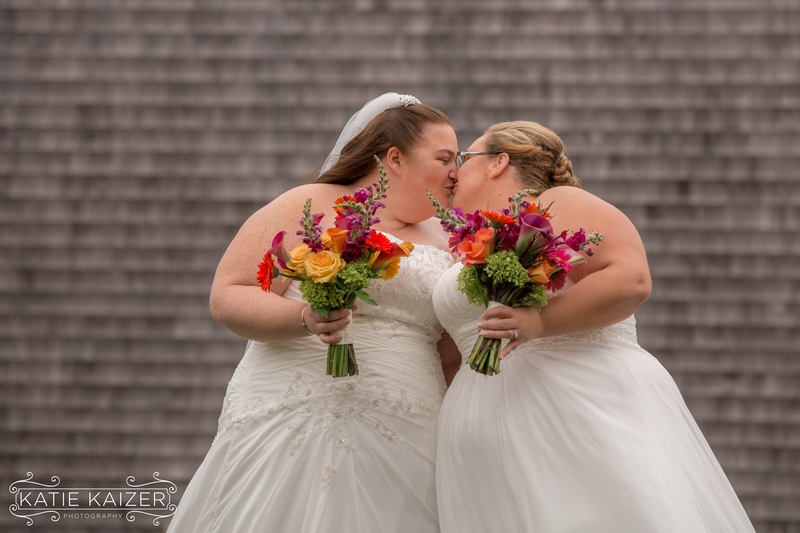 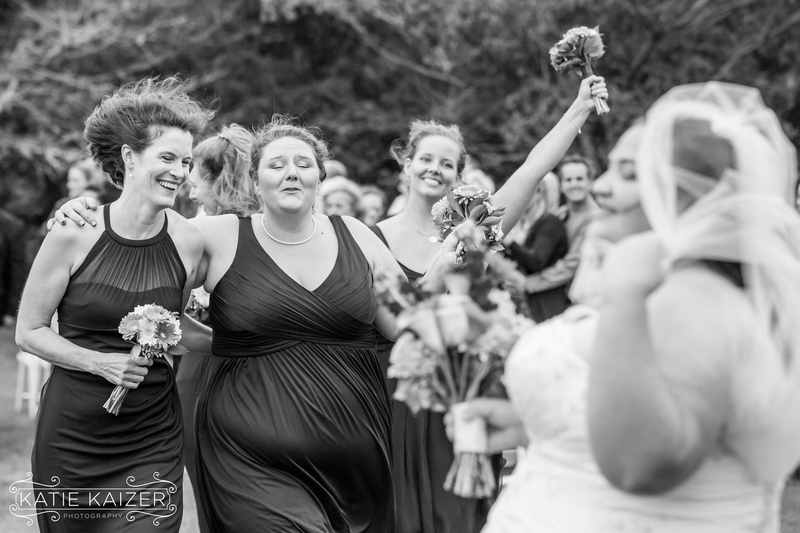 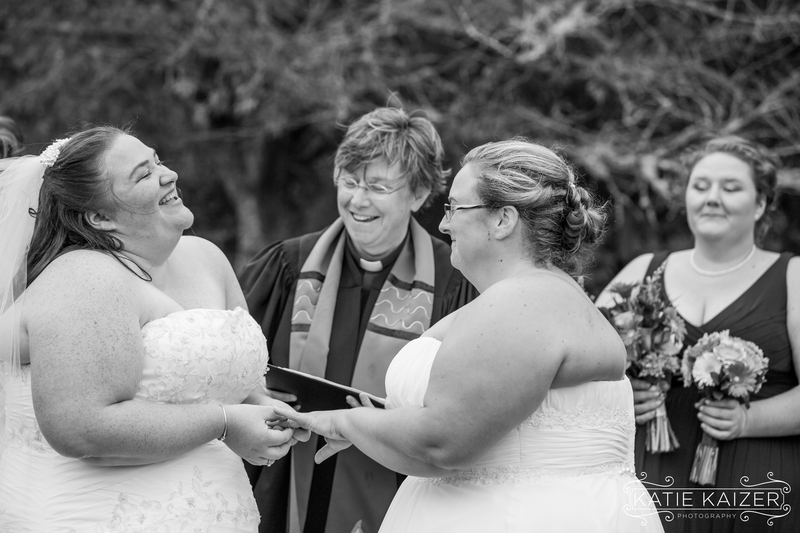 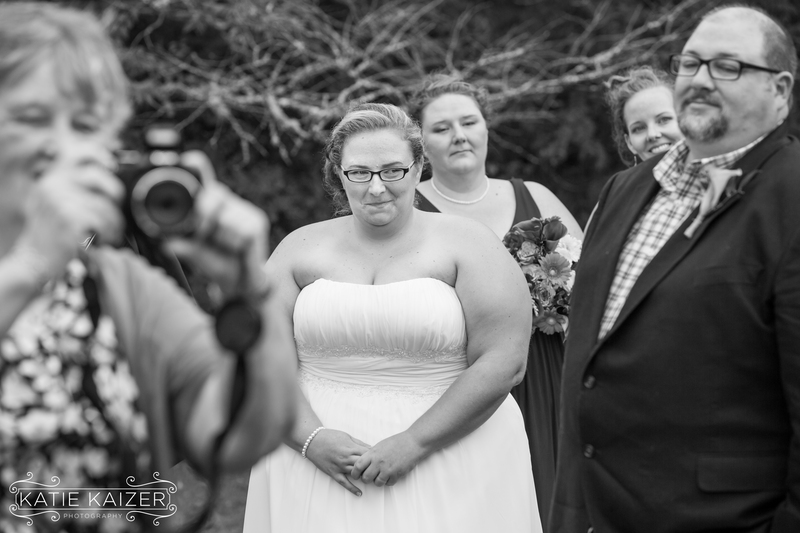 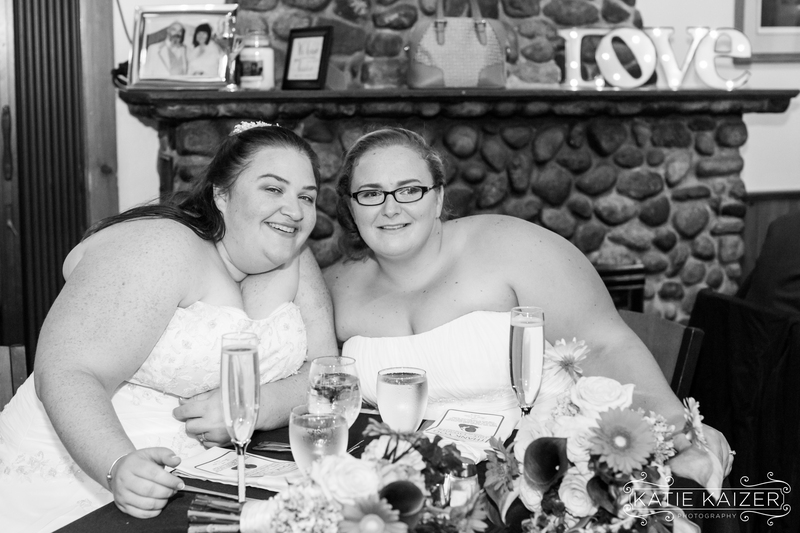 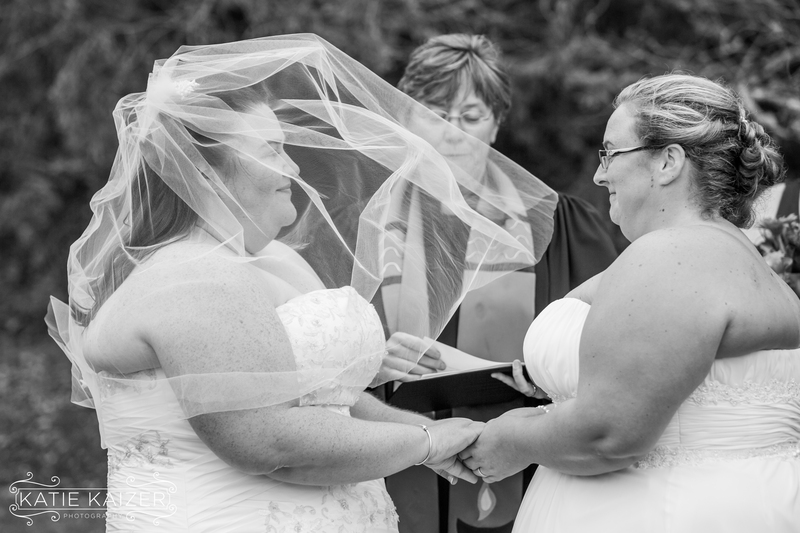 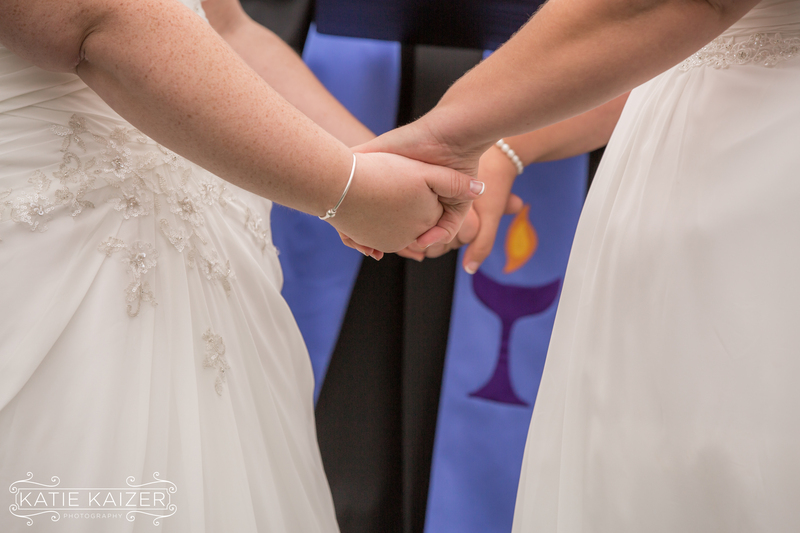 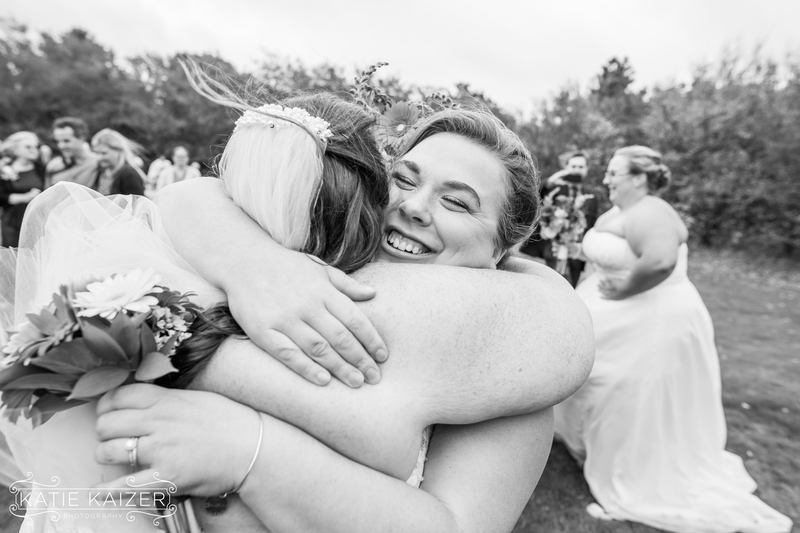 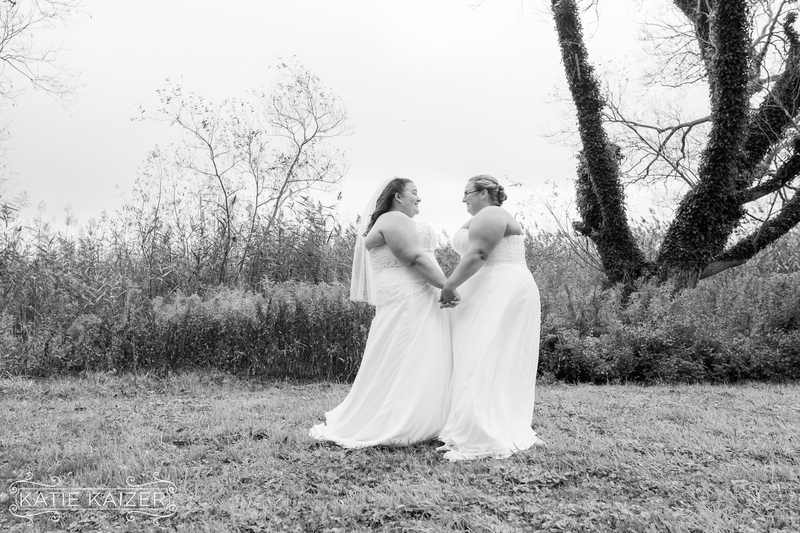 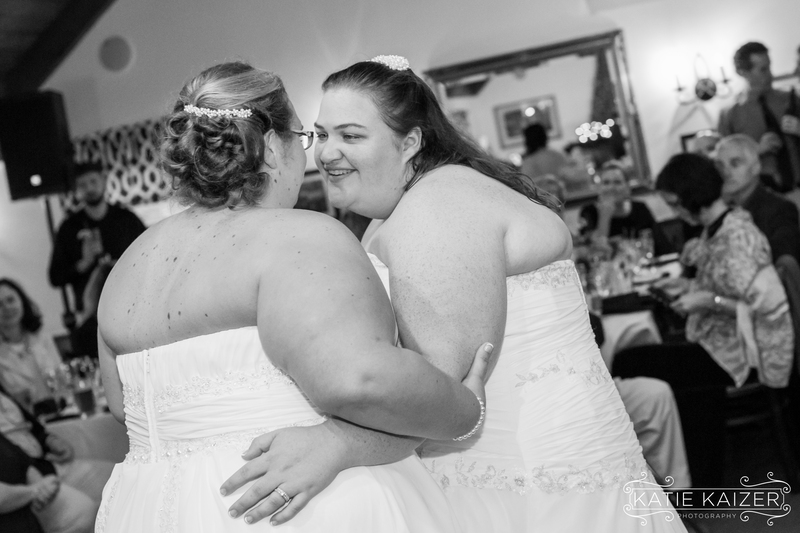 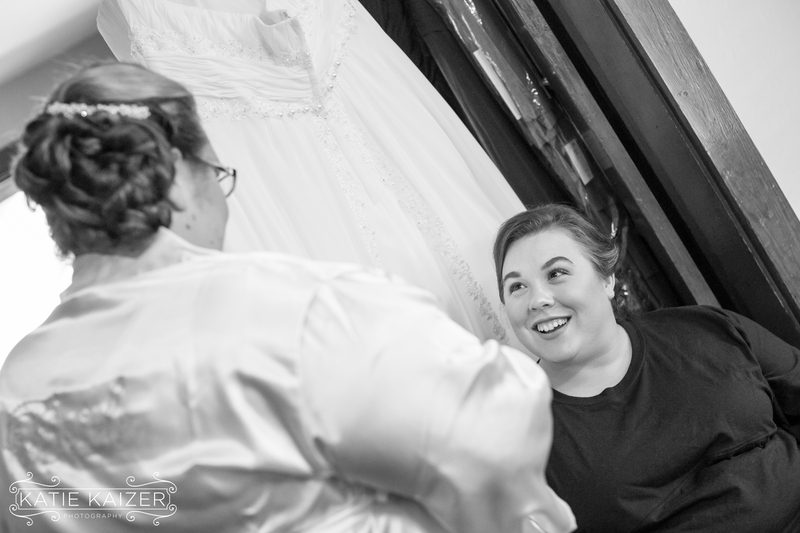 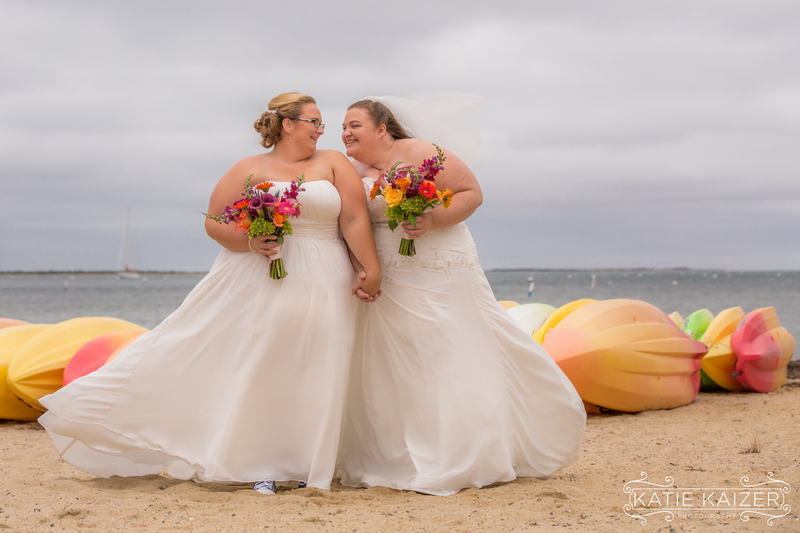 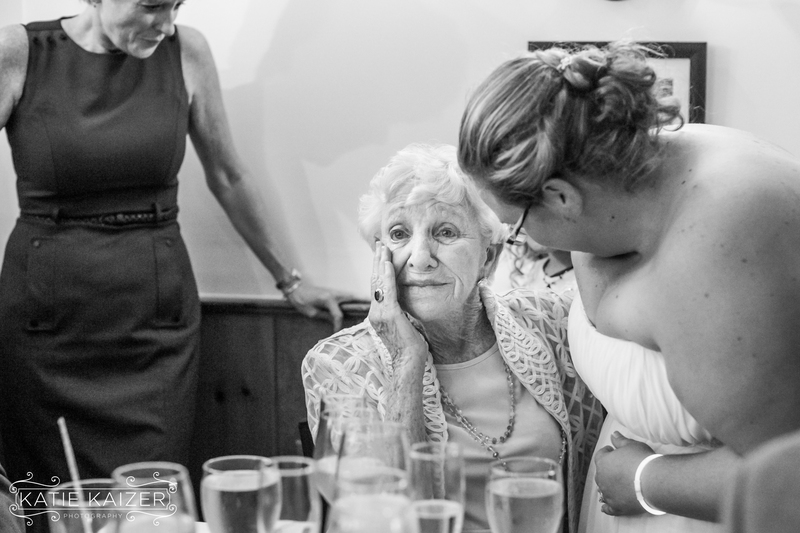 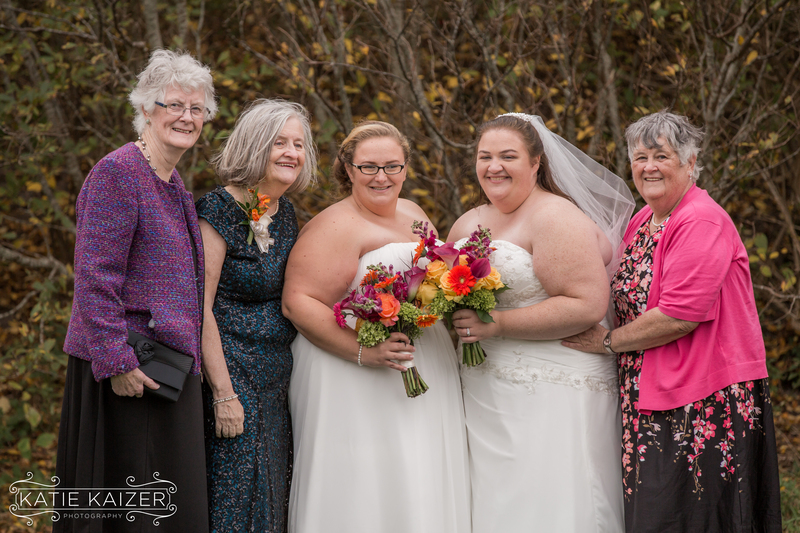 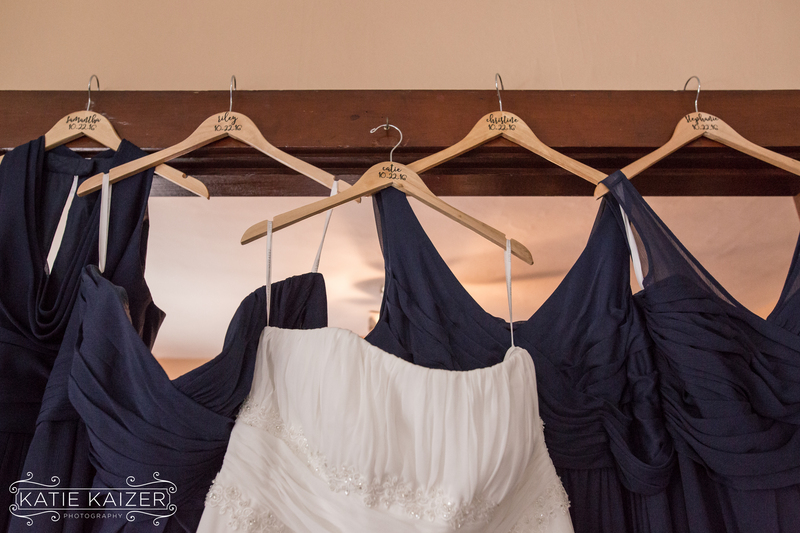 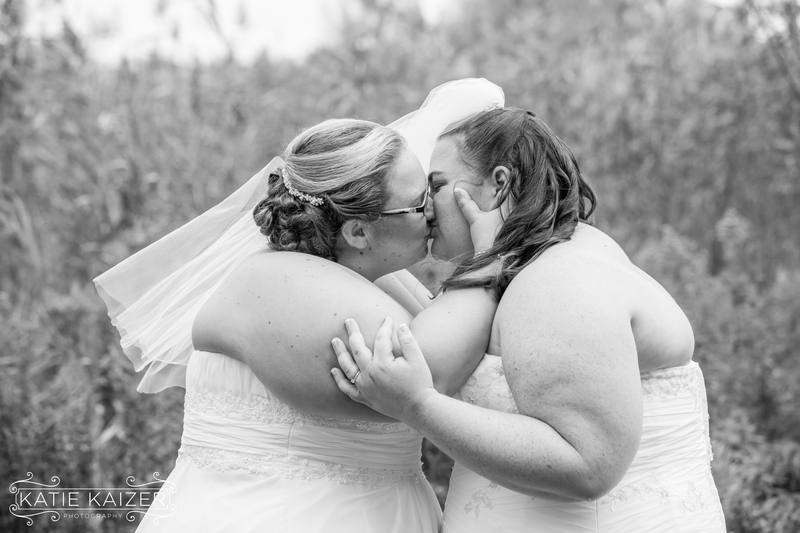 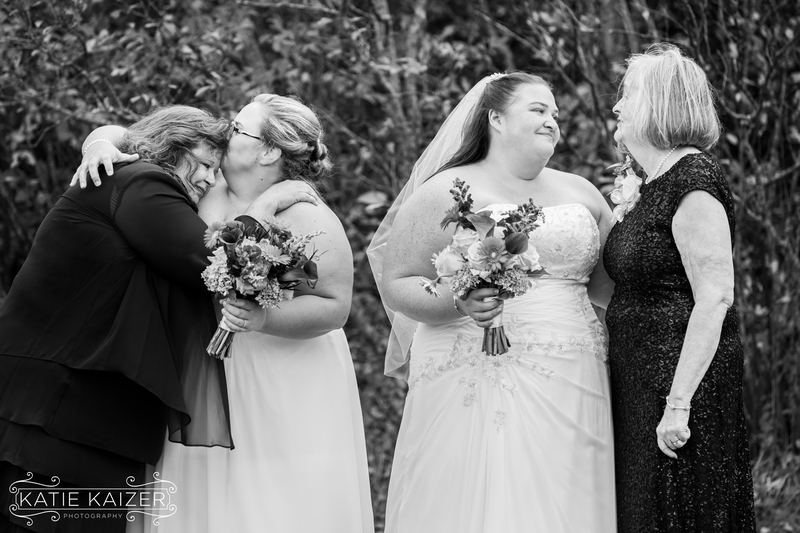 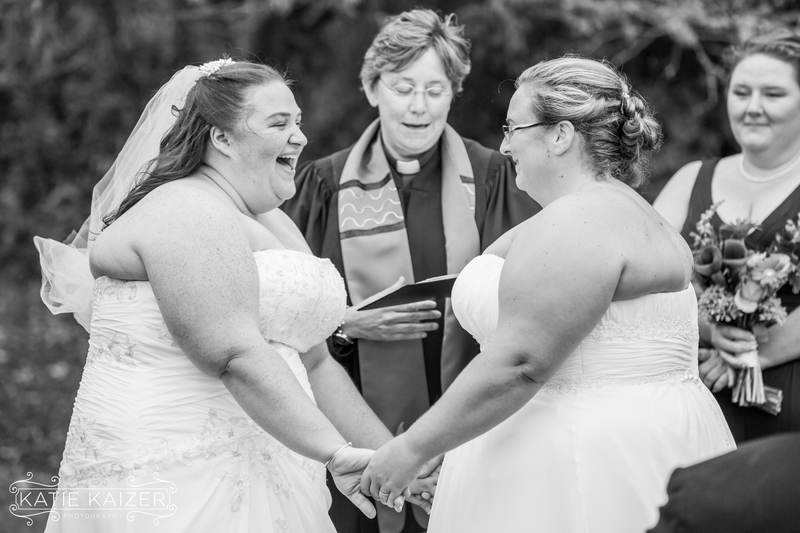 We felt truly honored to capture such a special day for two ladies whom have hearts of gold. 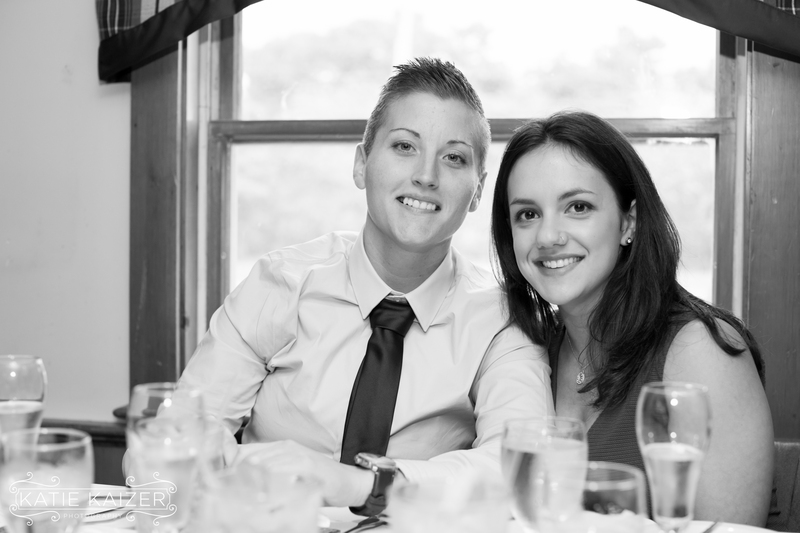 They are two of the nicest people I’ve ever met. 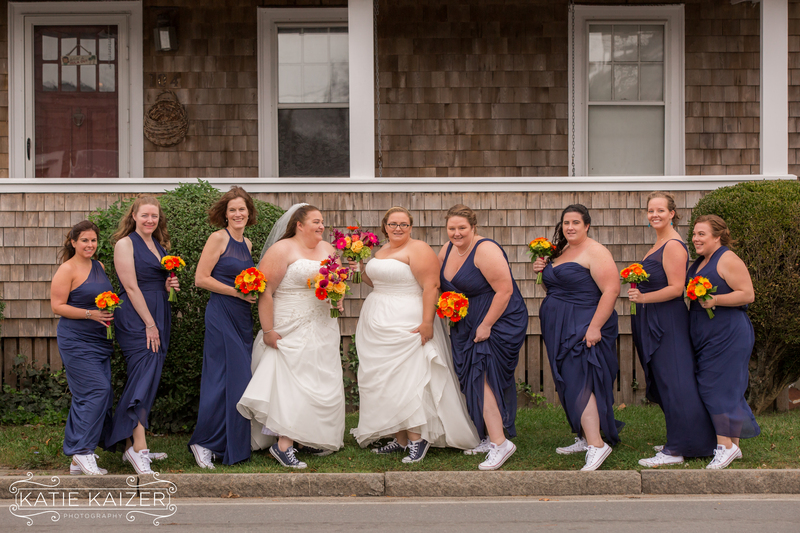 Wishing them all the best and happy to know we’ll be seeing them around Nantucket for years to come! 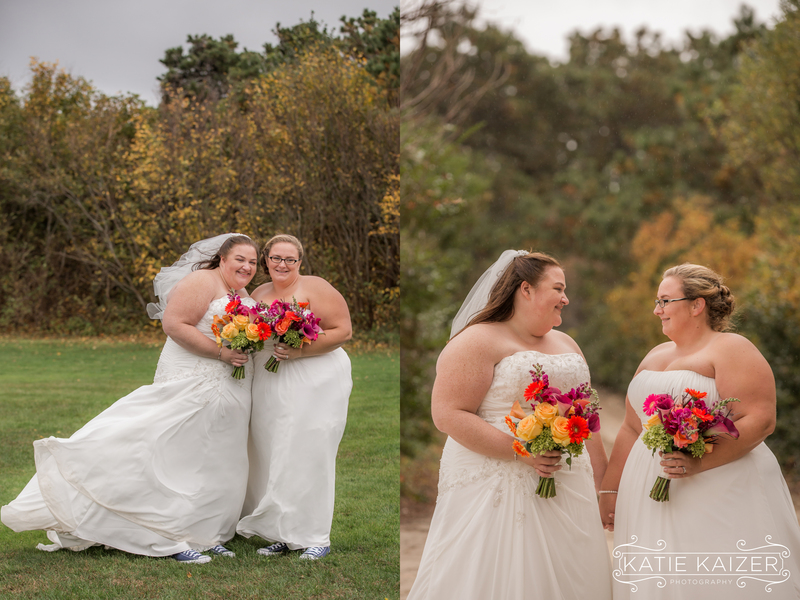 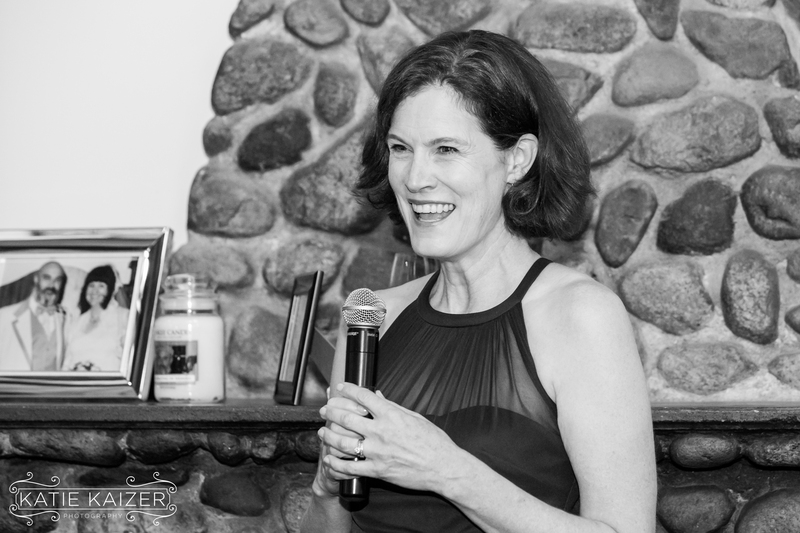 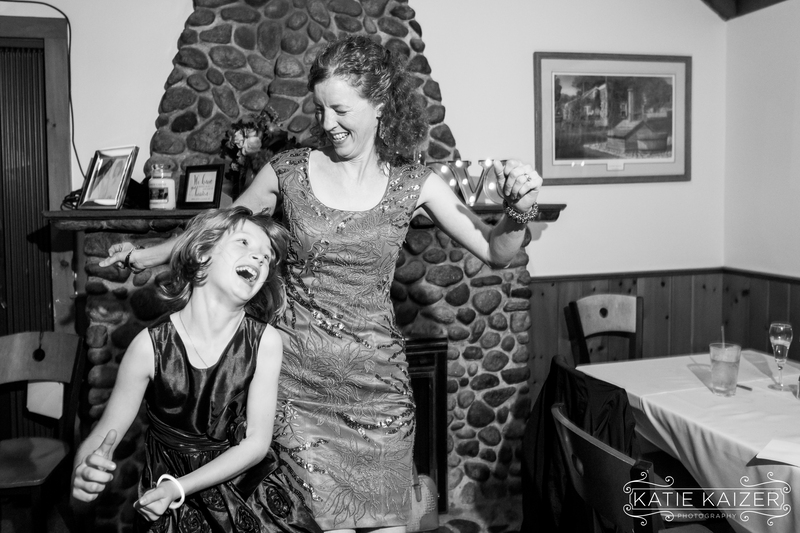 Special Thanks to Kathryn Kennedy for joining me to photograph this wedding, our last one of the year! 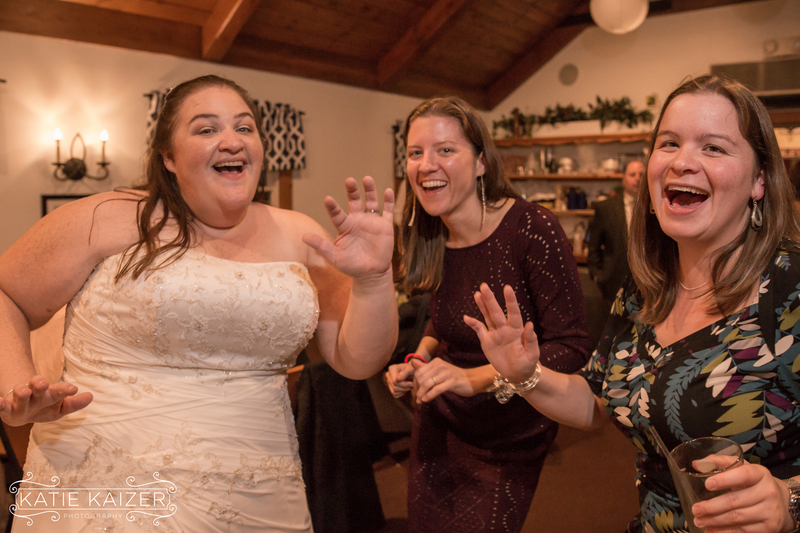 I can’t imagine a better way to wrap up the season!